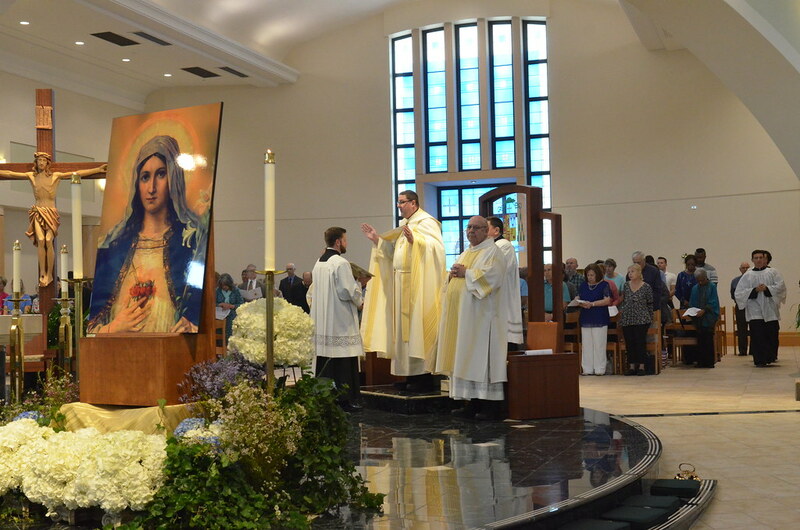 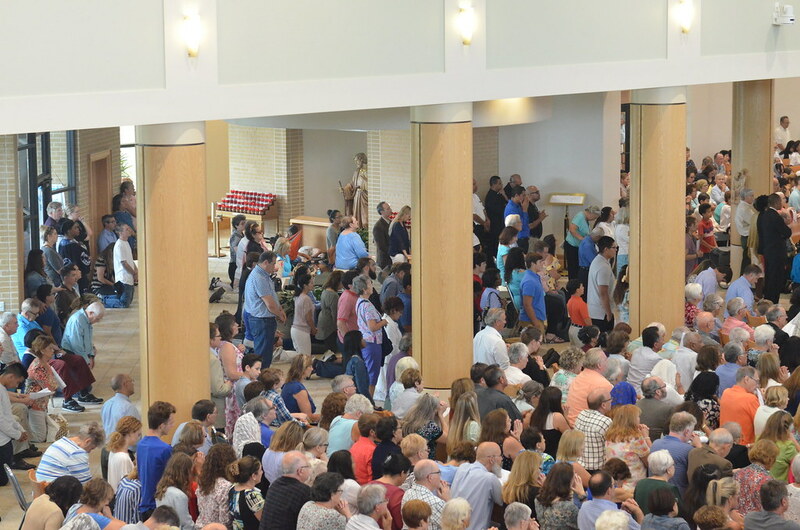 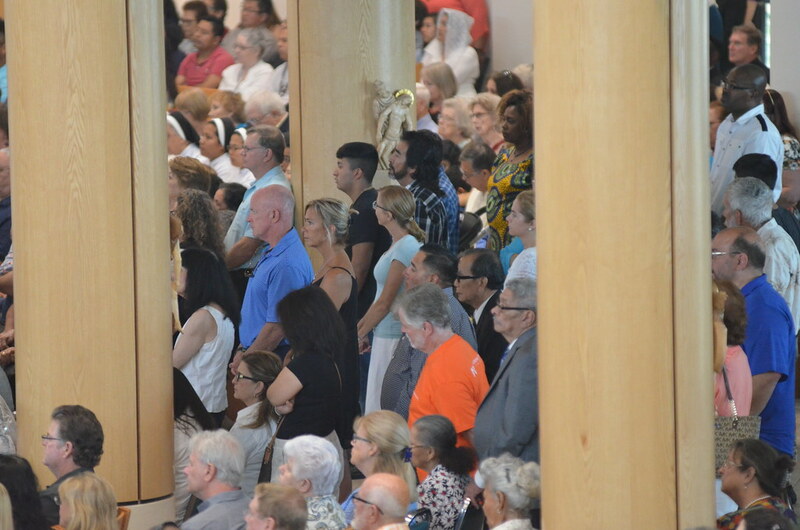 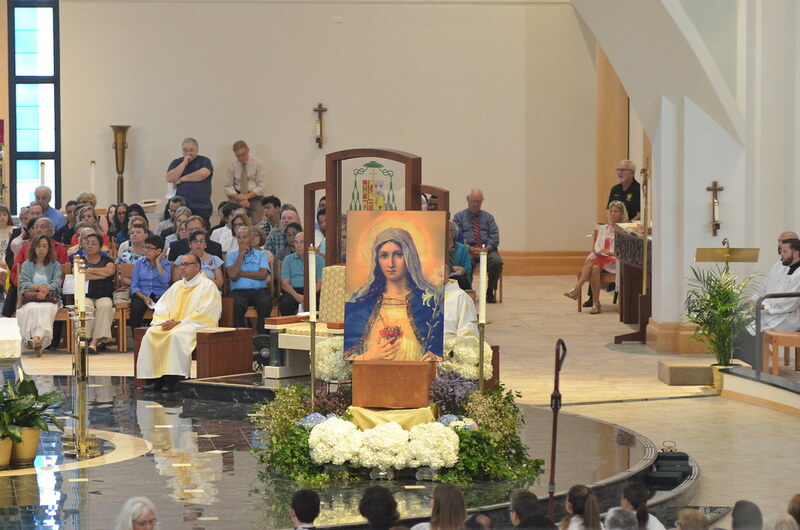 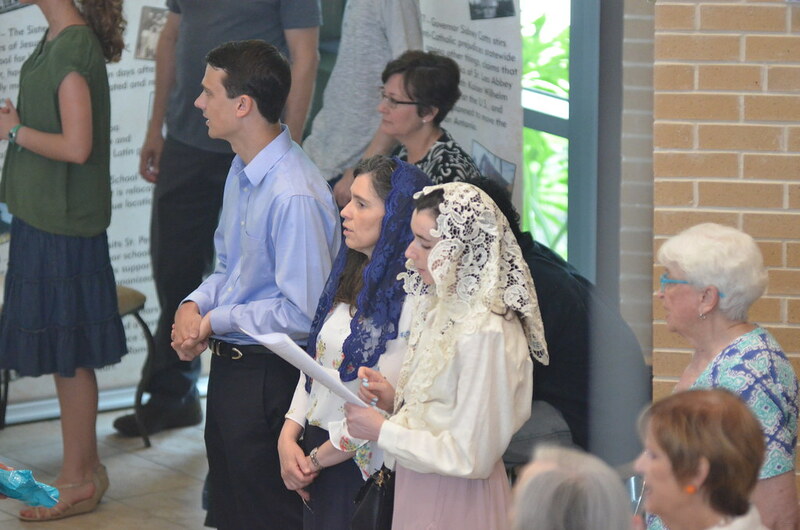 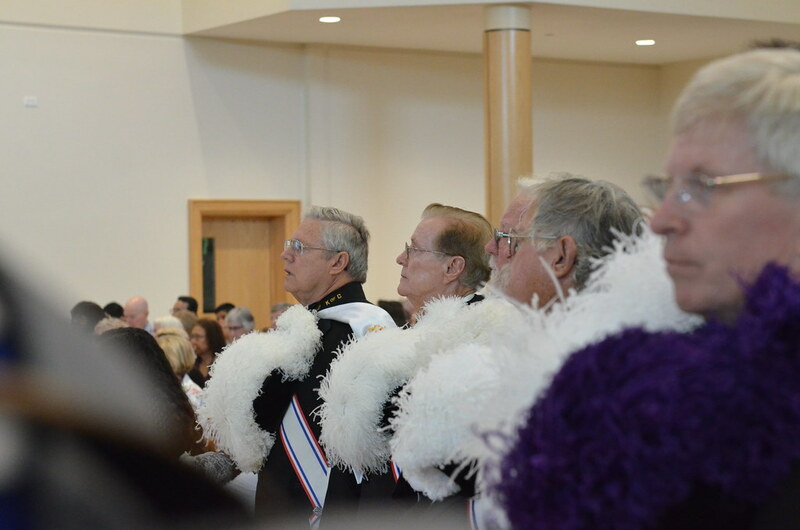 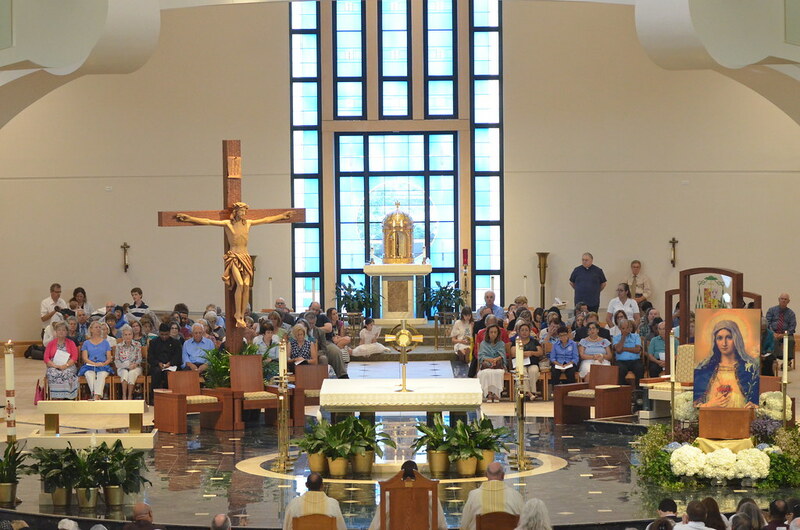 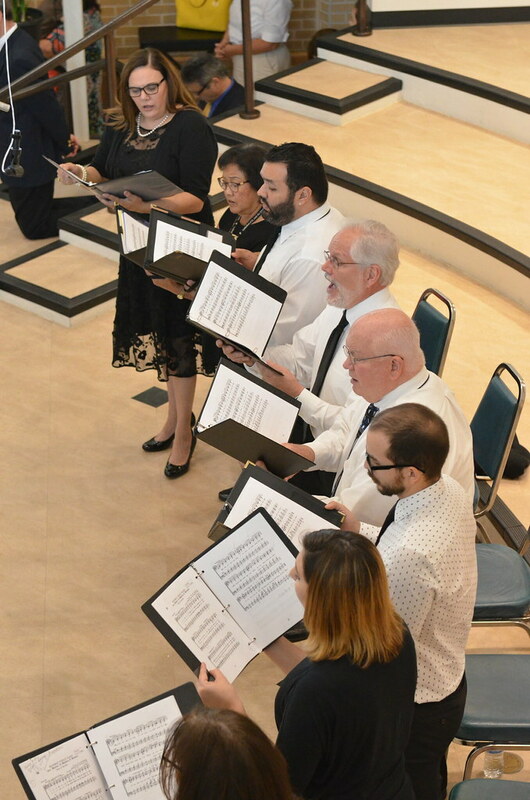 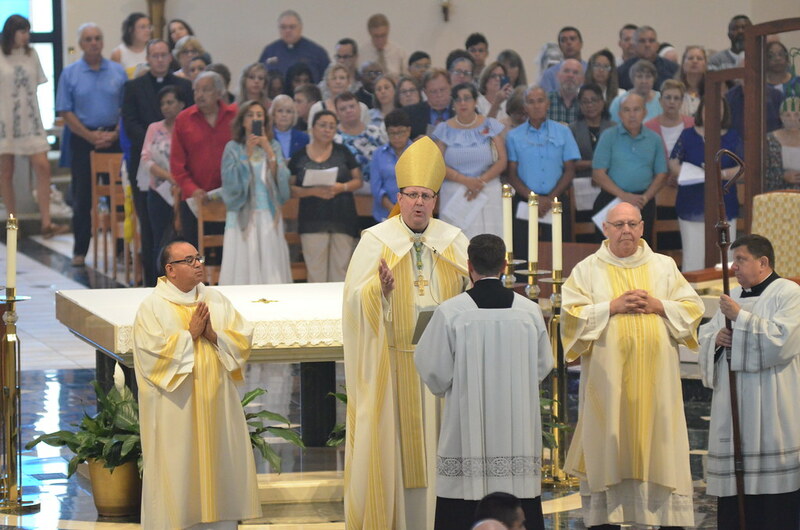 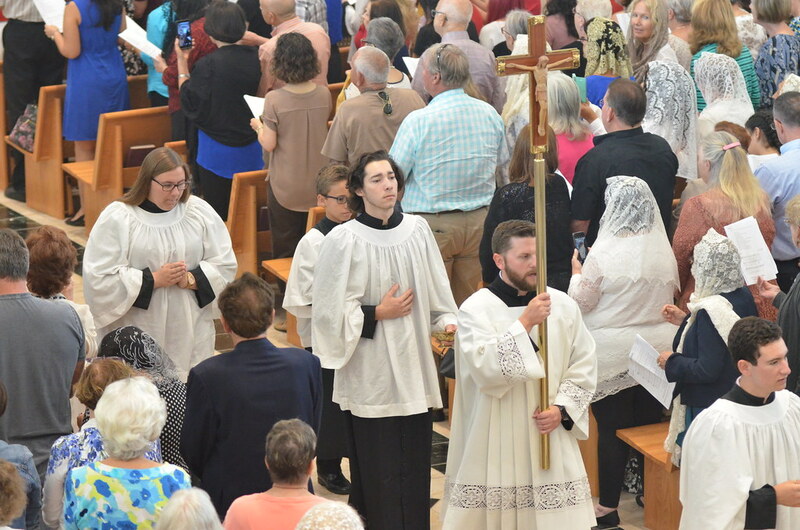 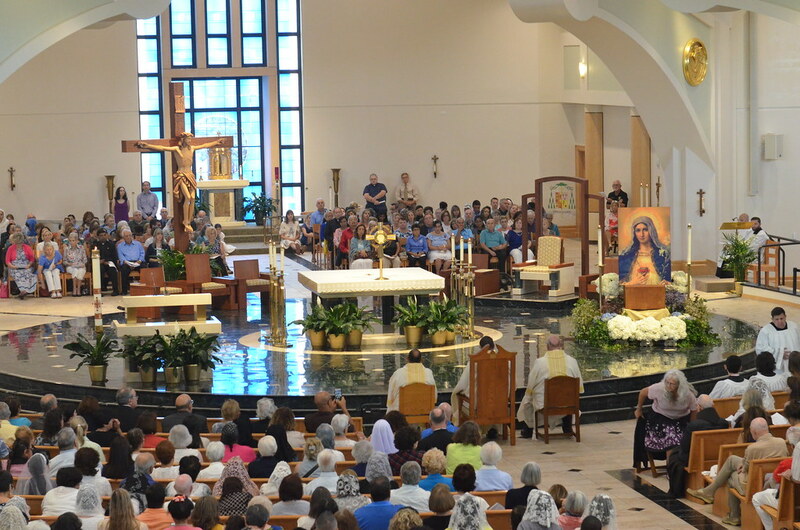 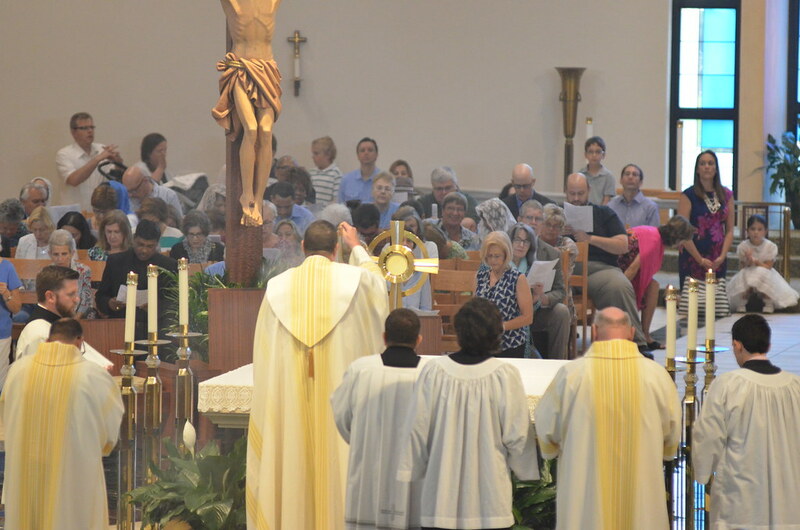 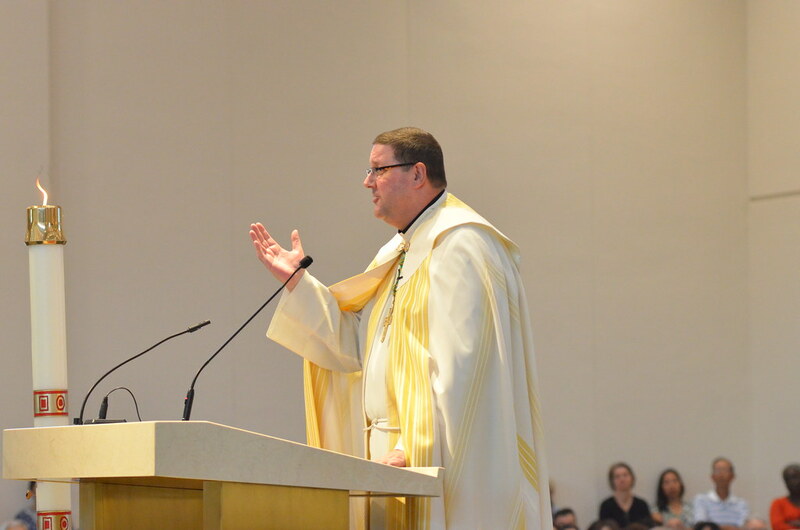 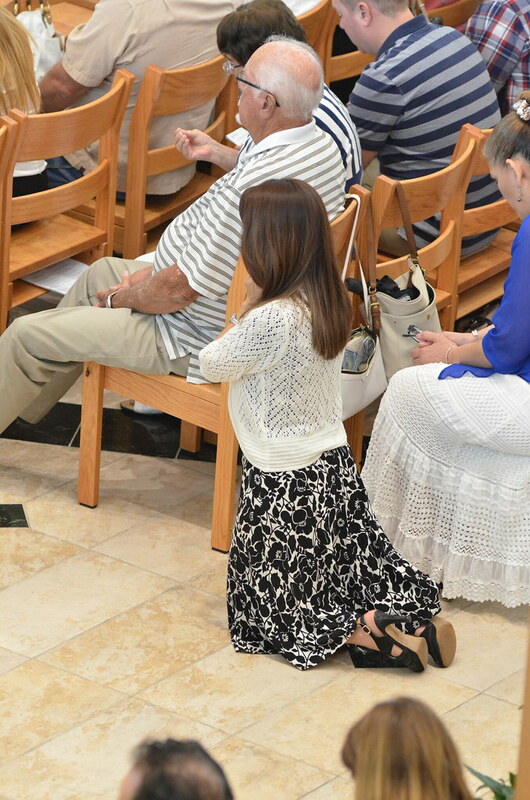 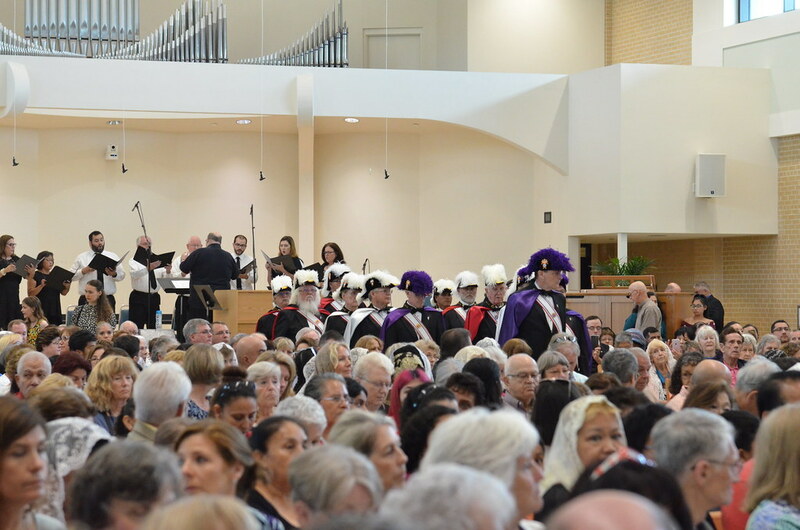 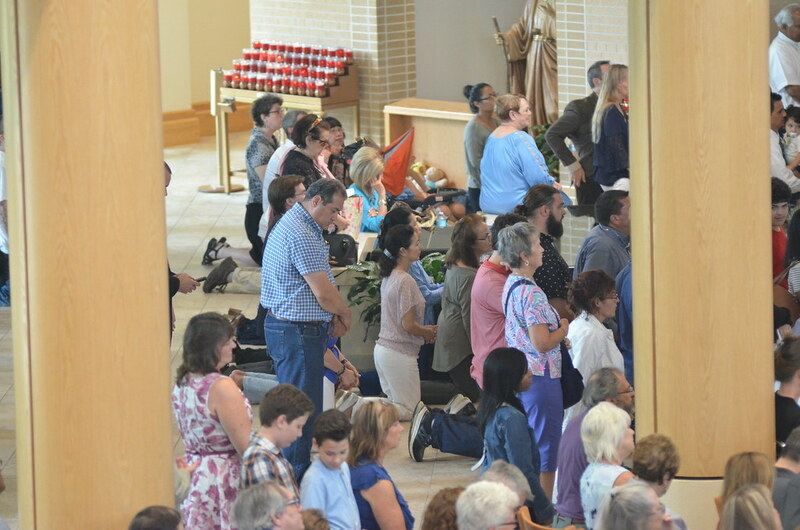 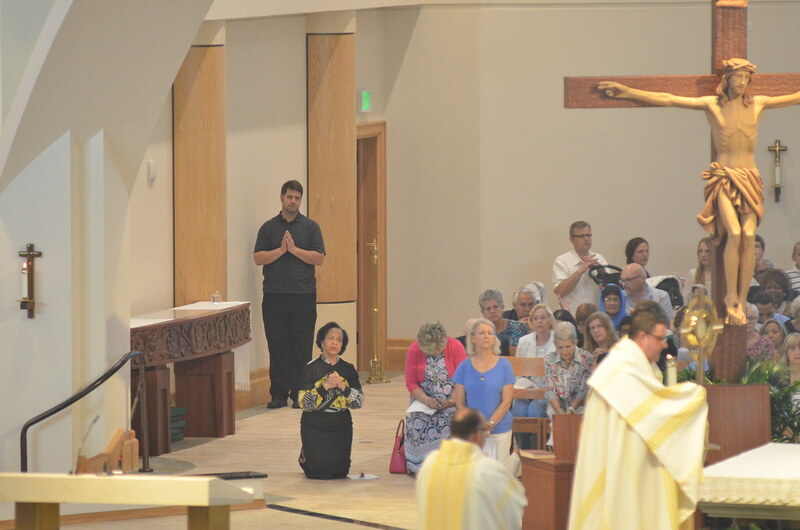 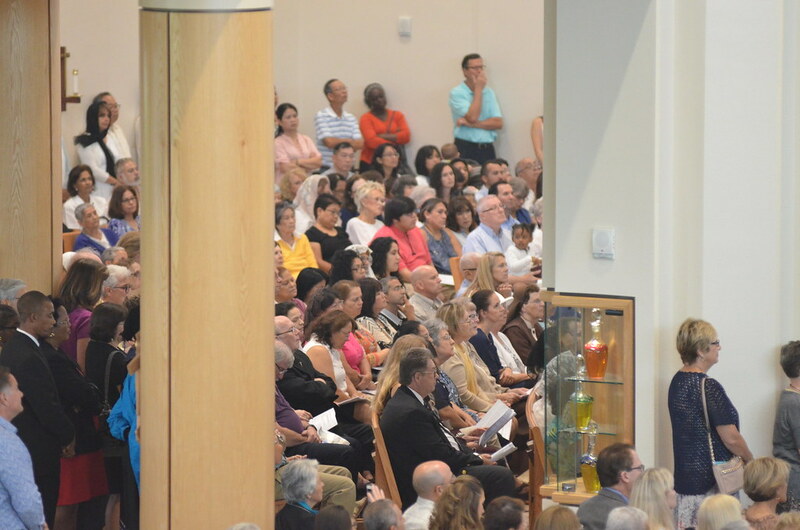 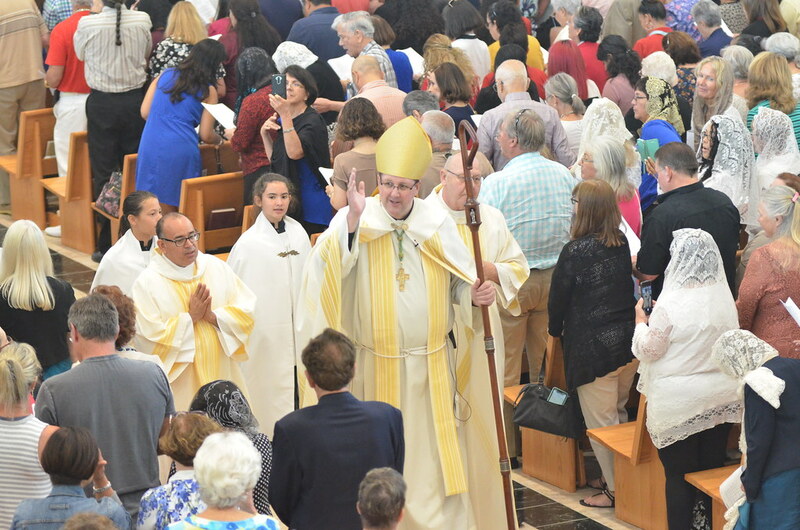 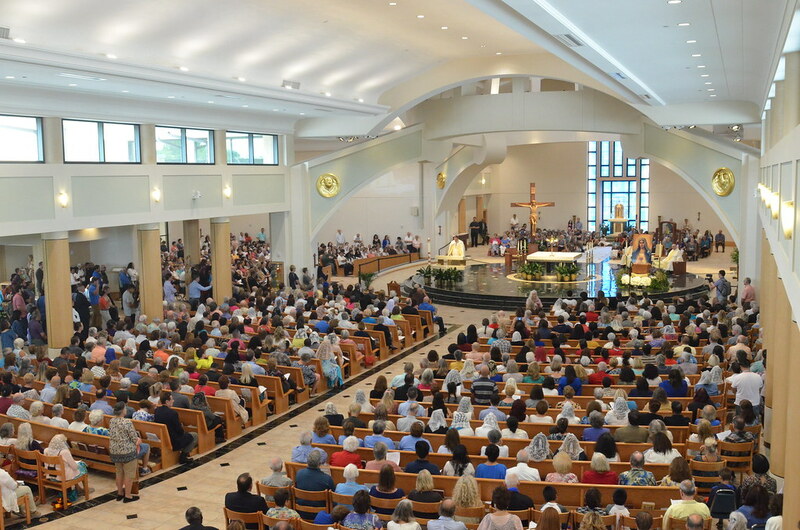 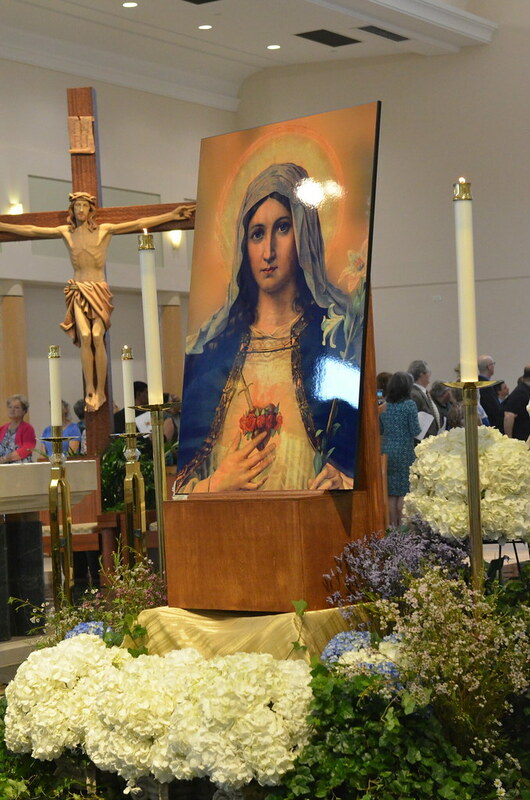 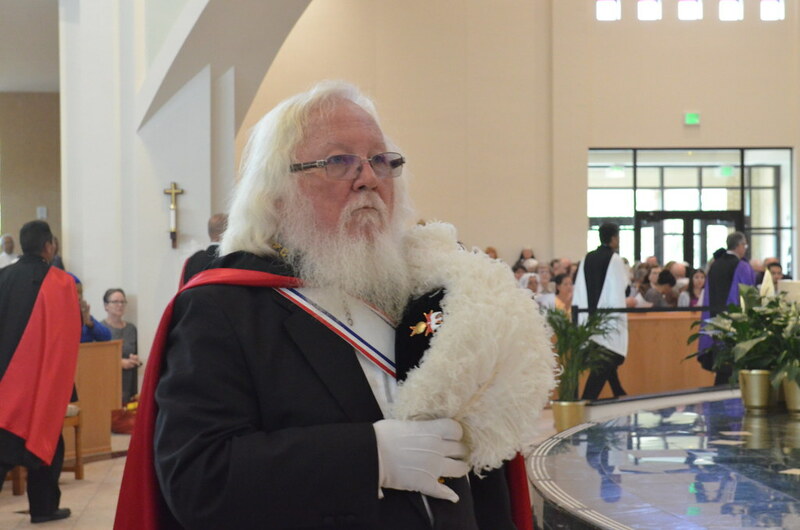 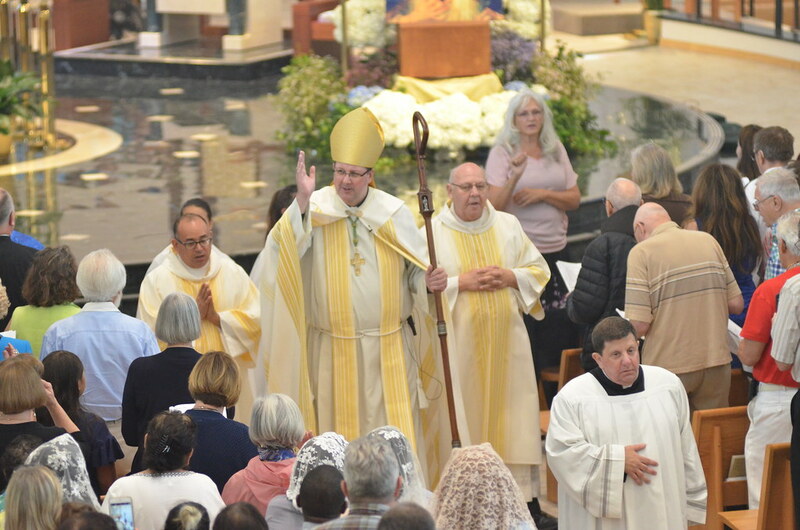 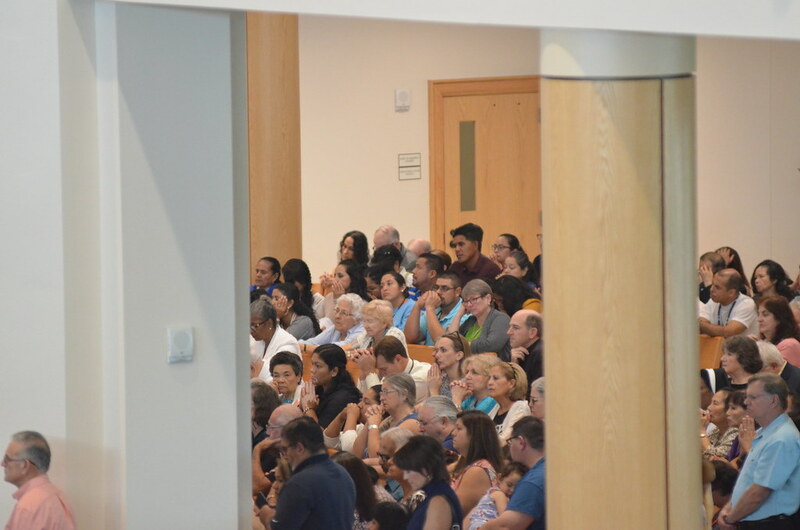 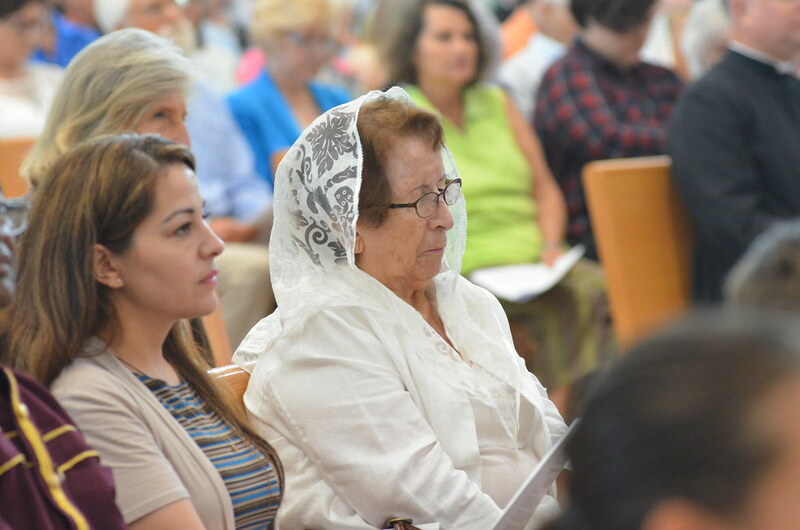 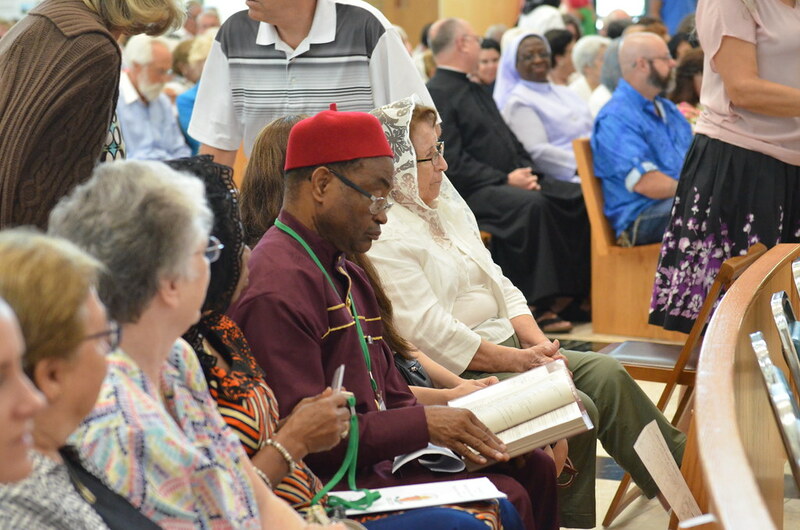 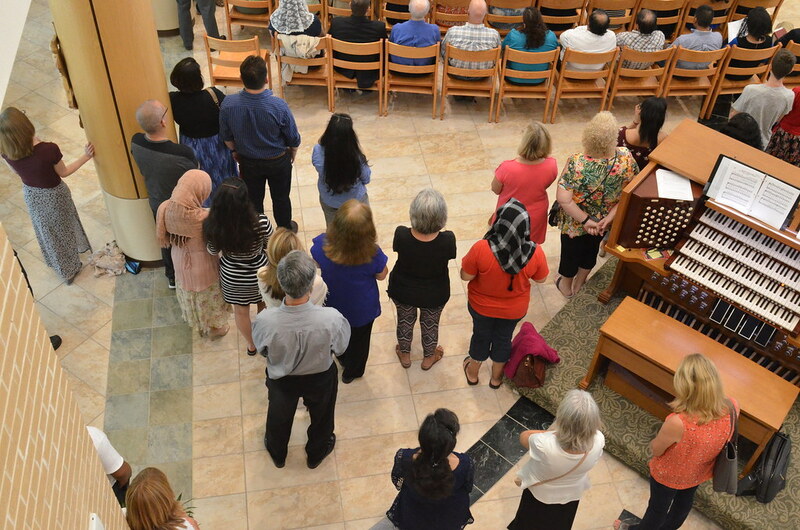 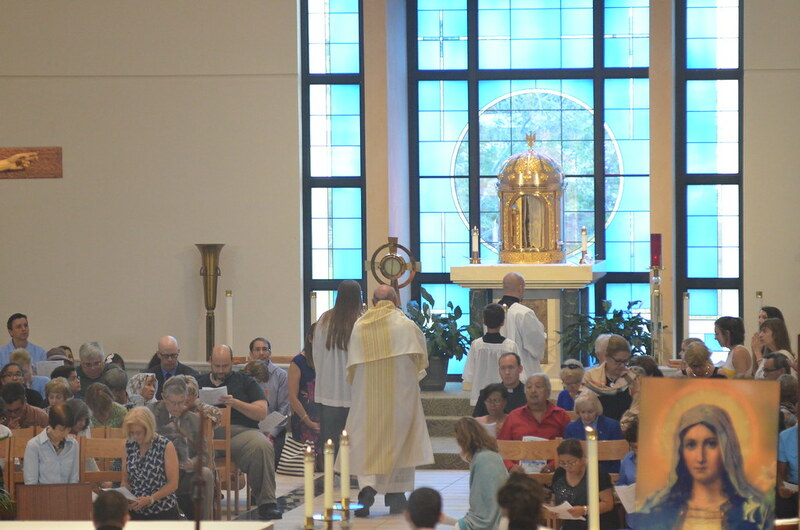 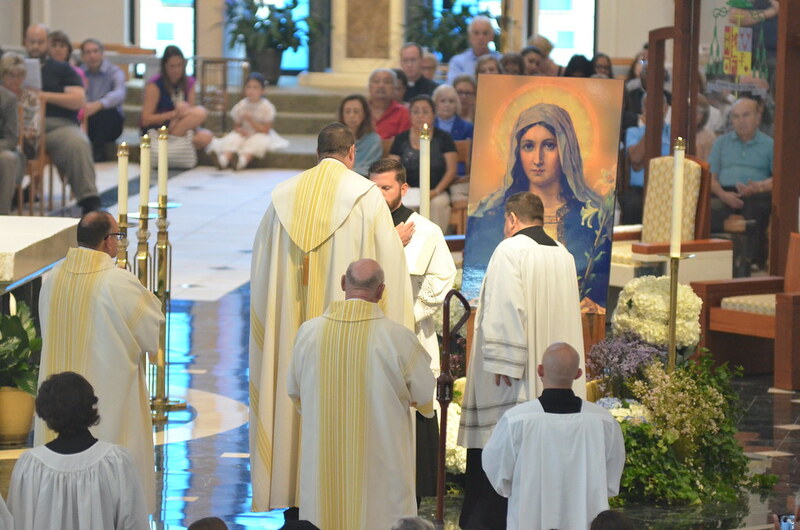 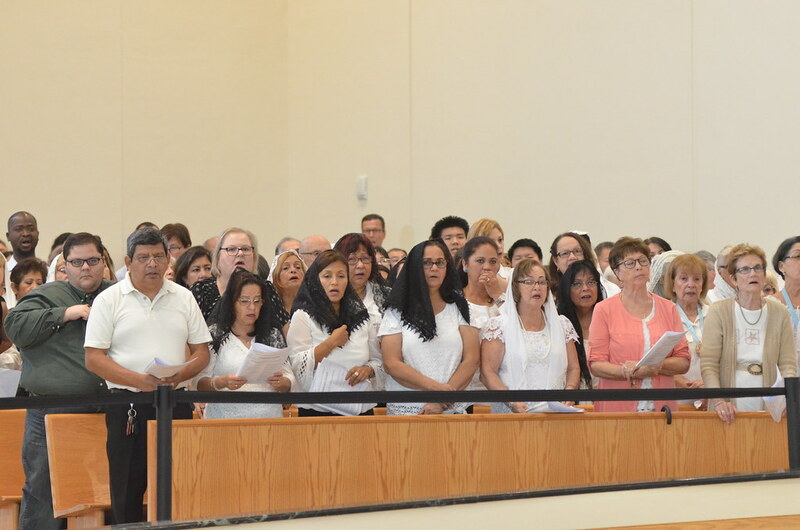 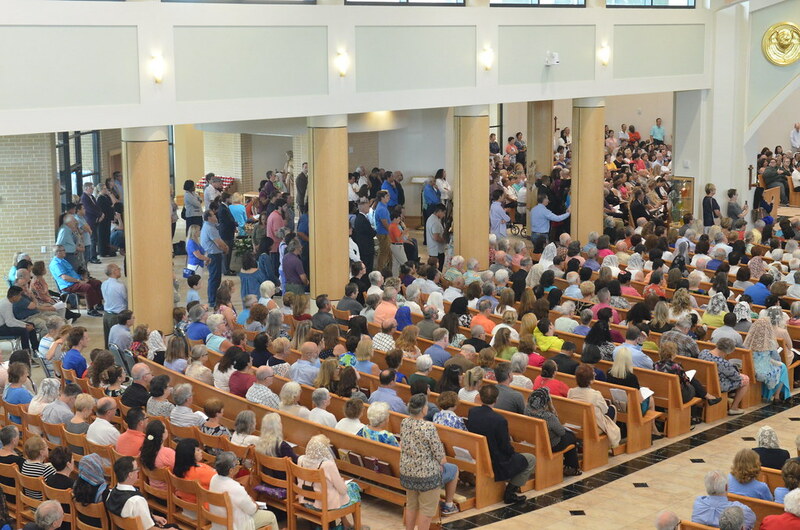 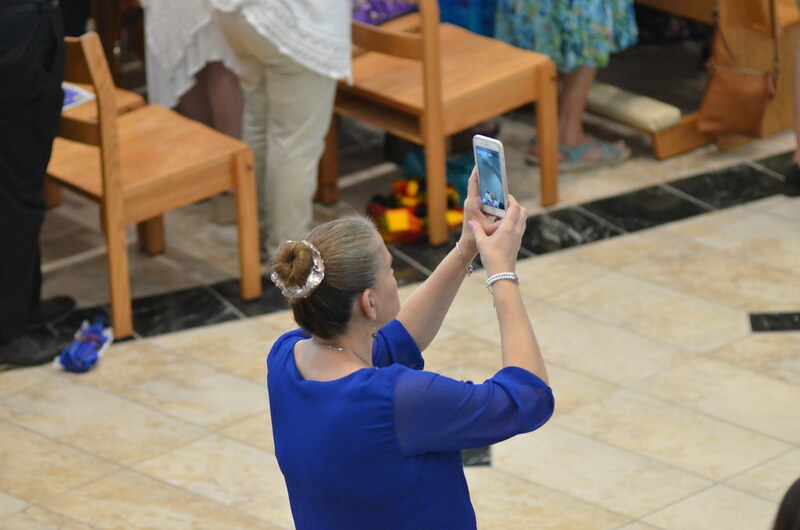 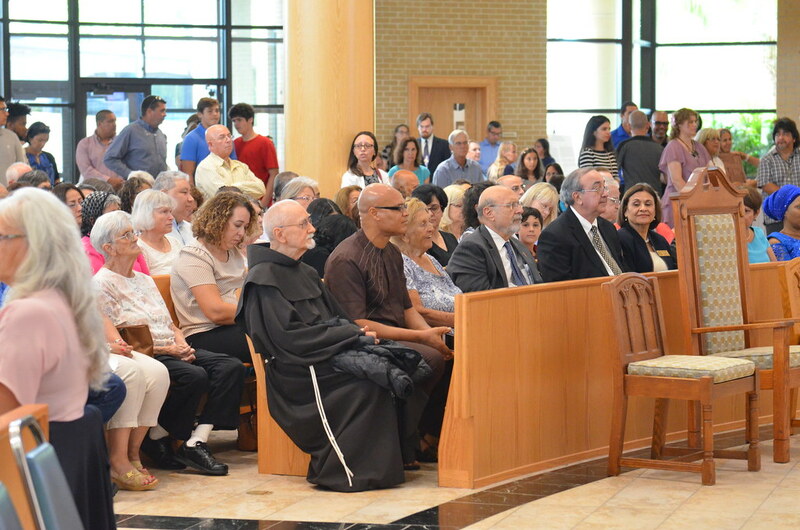 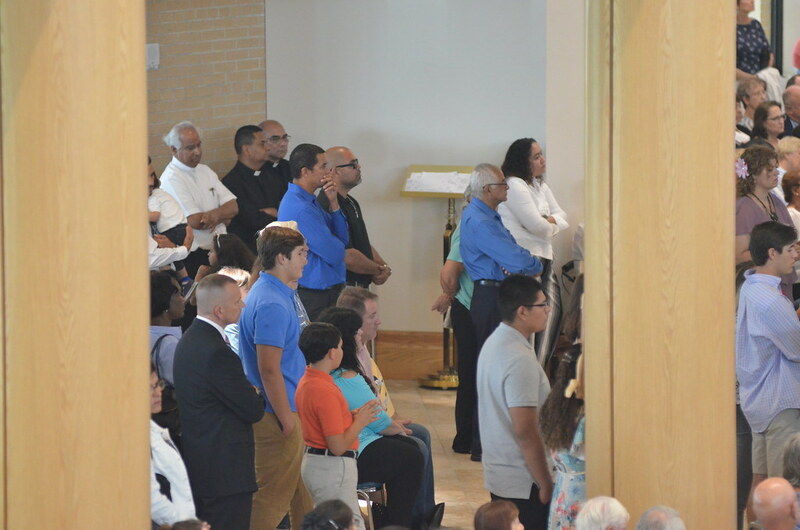 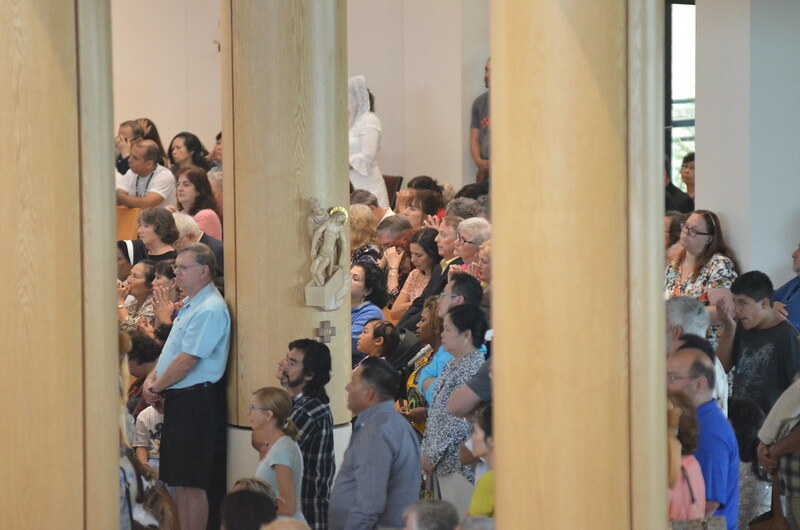 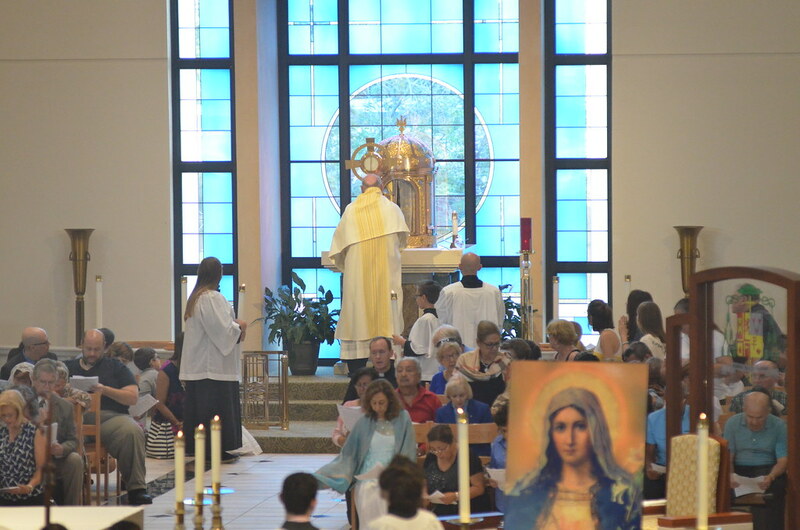 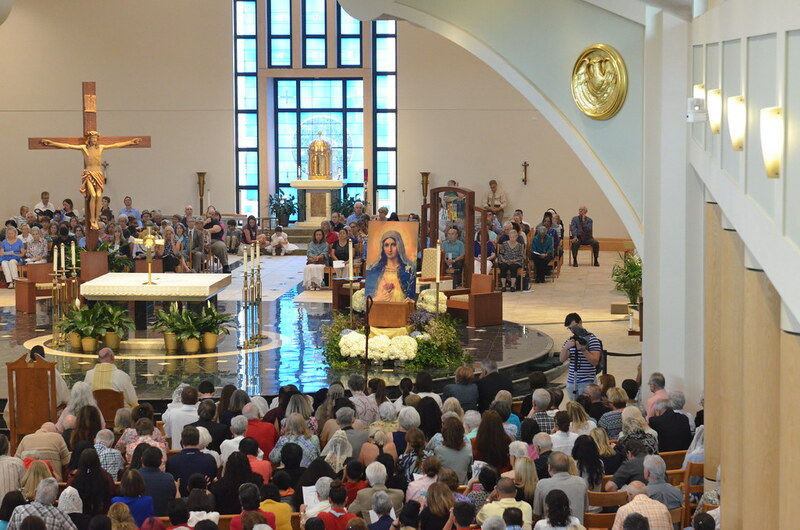 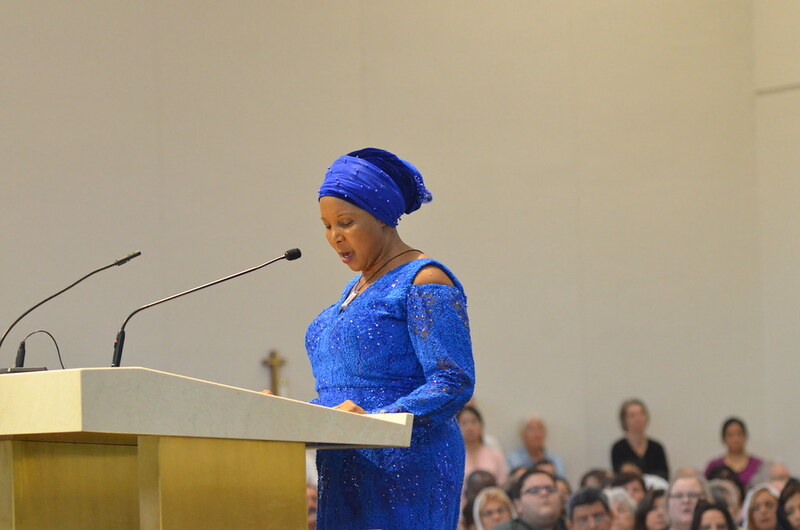 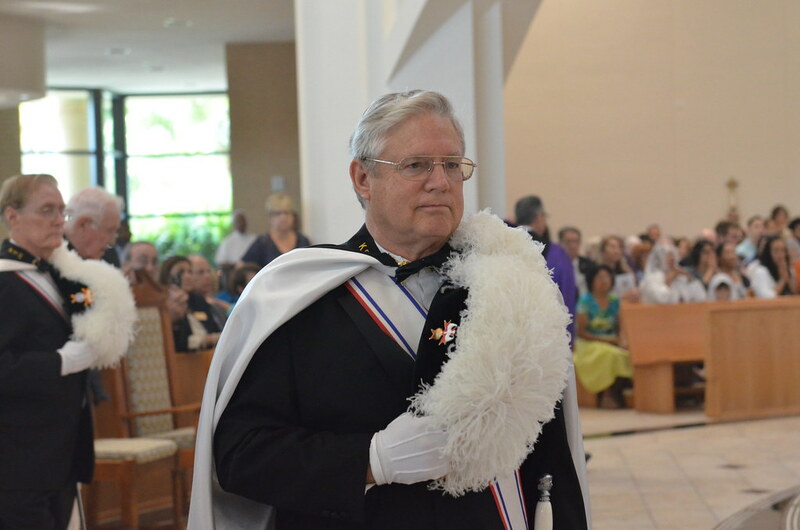 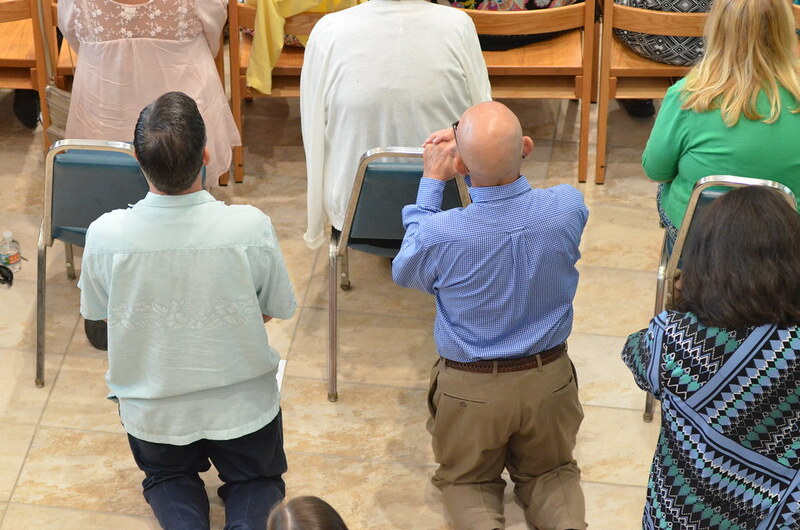 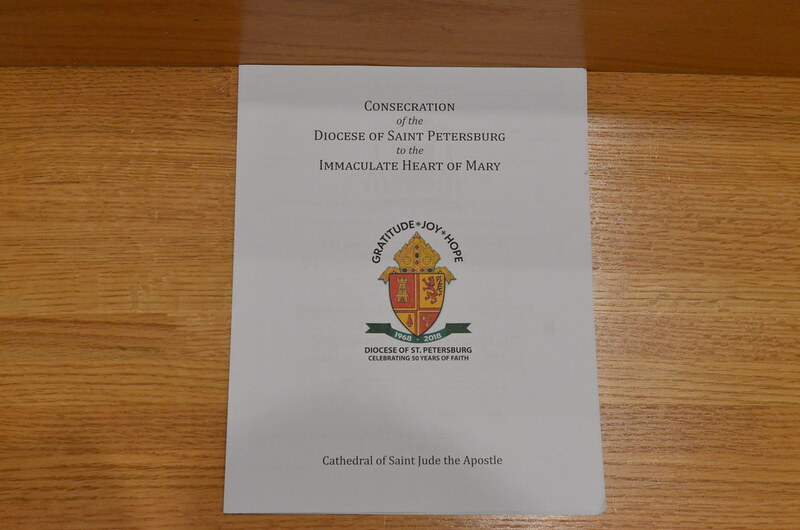 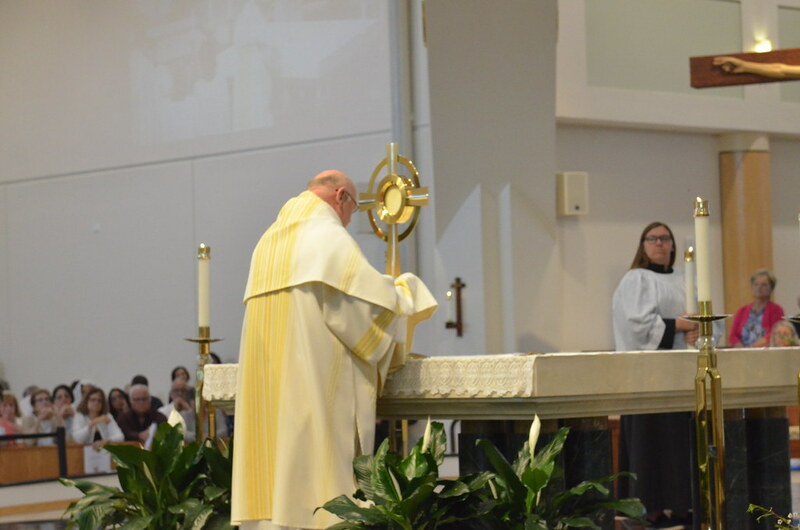 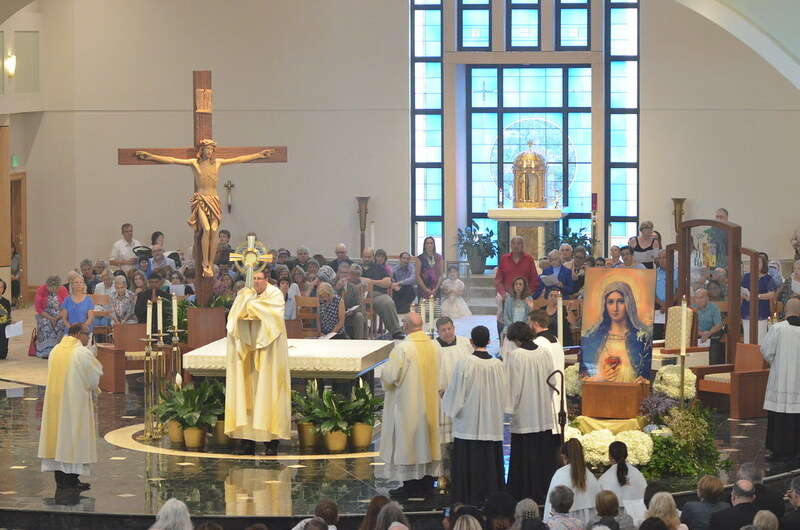 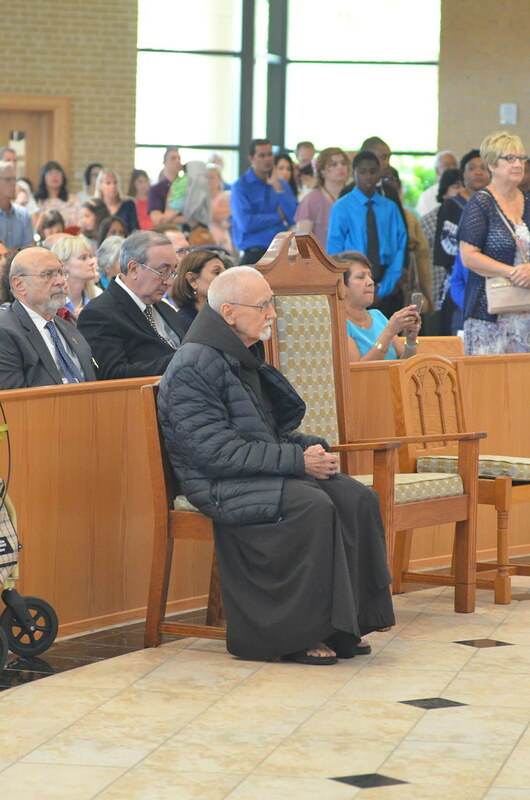 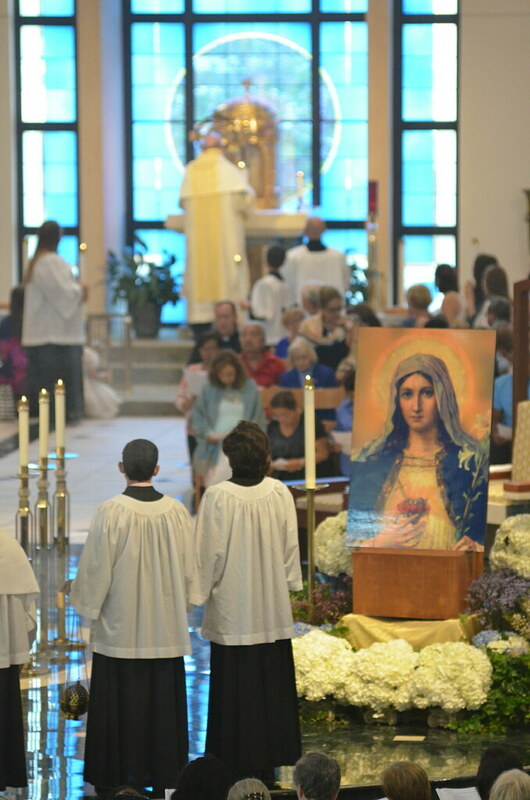 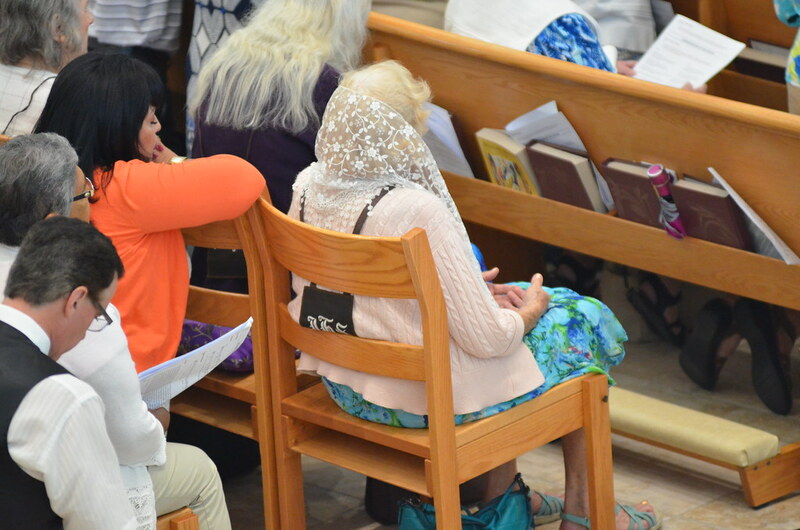 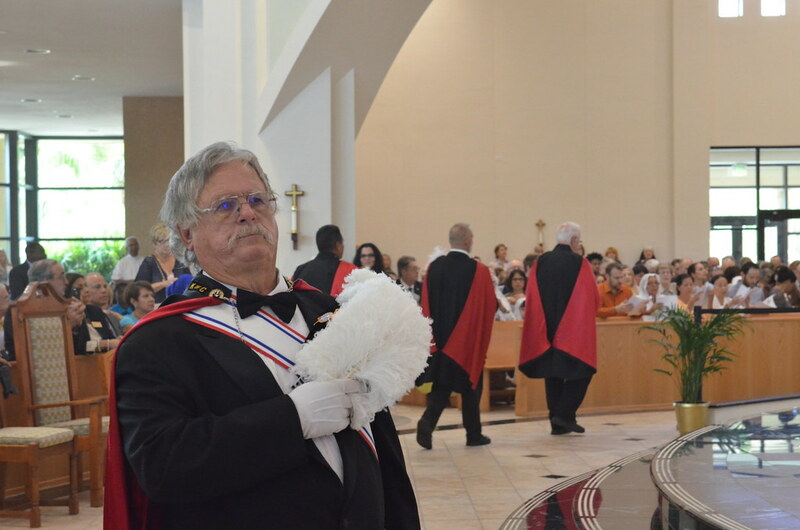 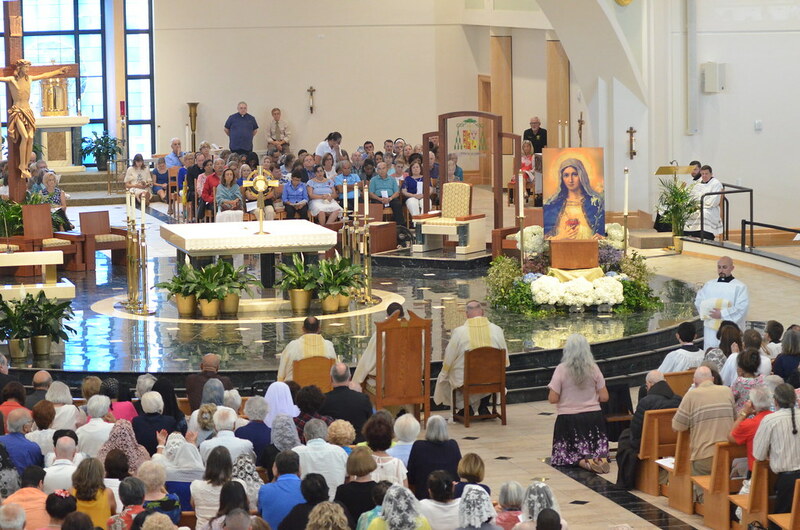 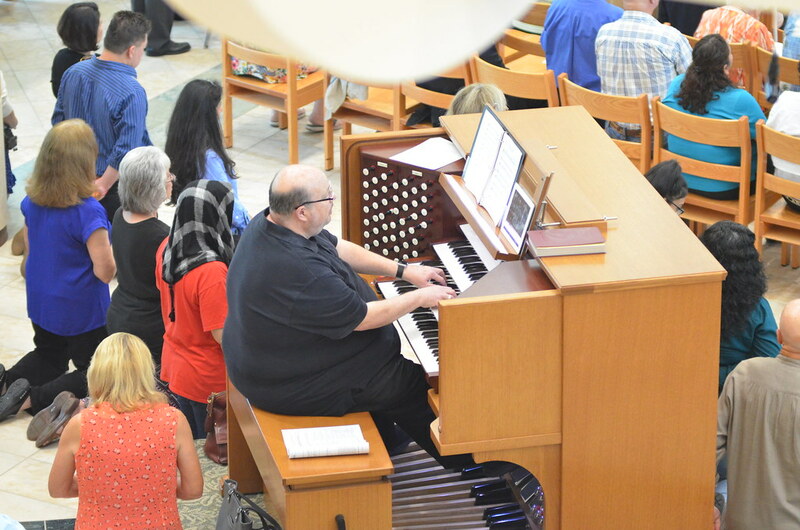 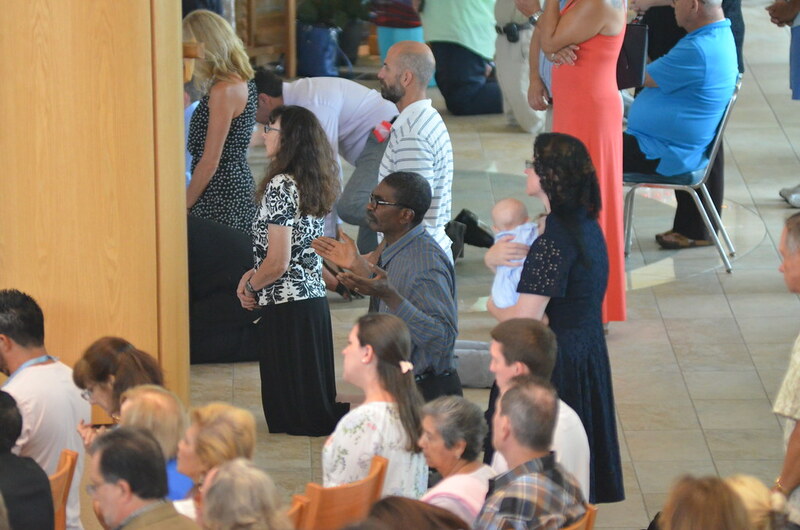 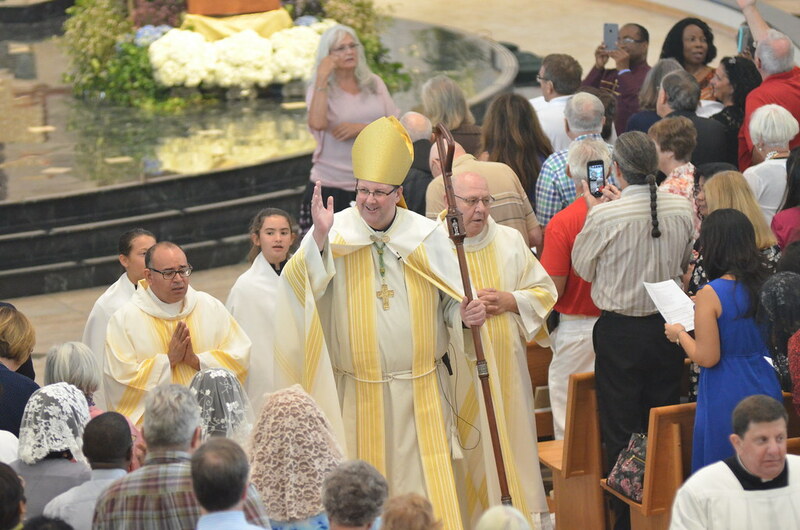 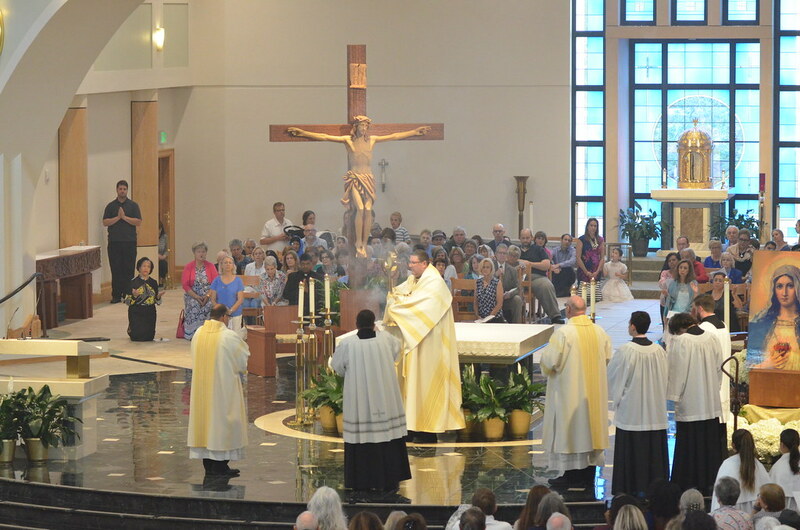 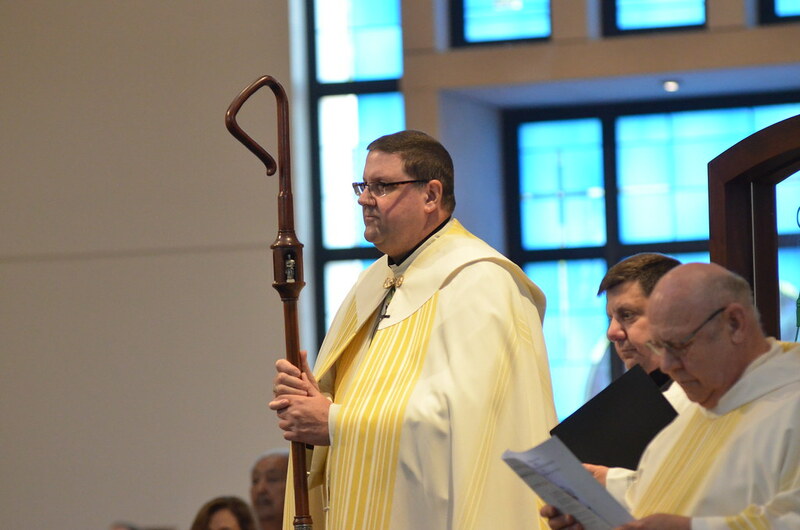 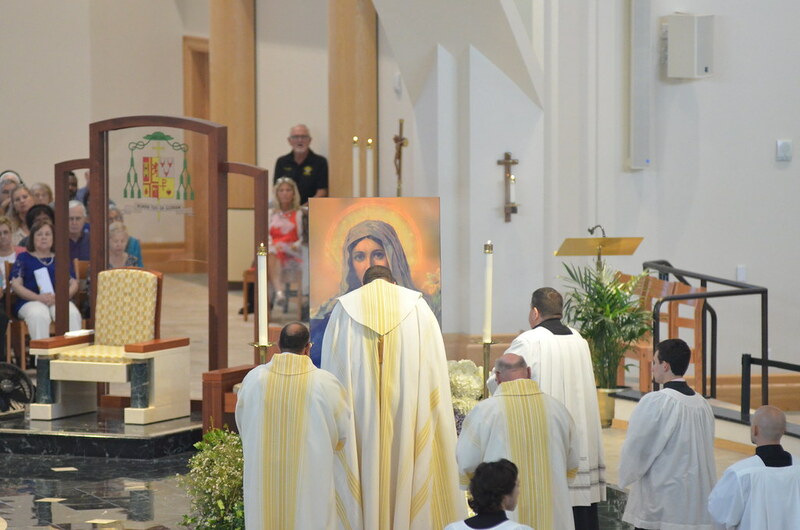 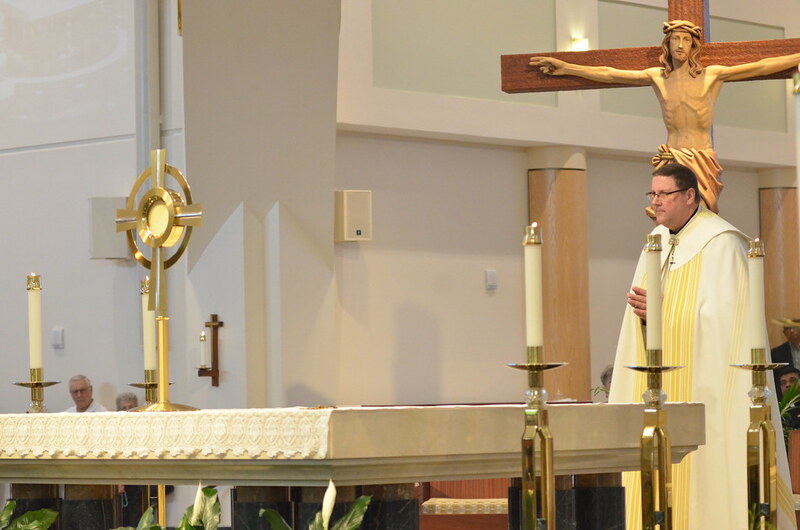 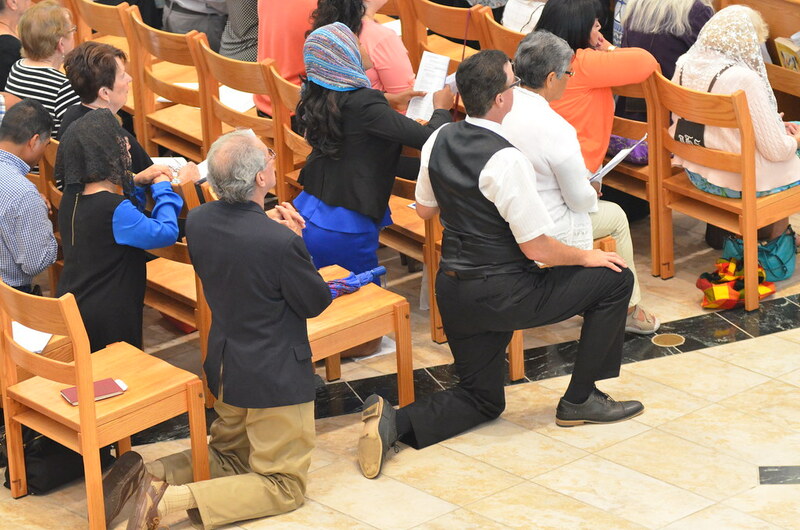 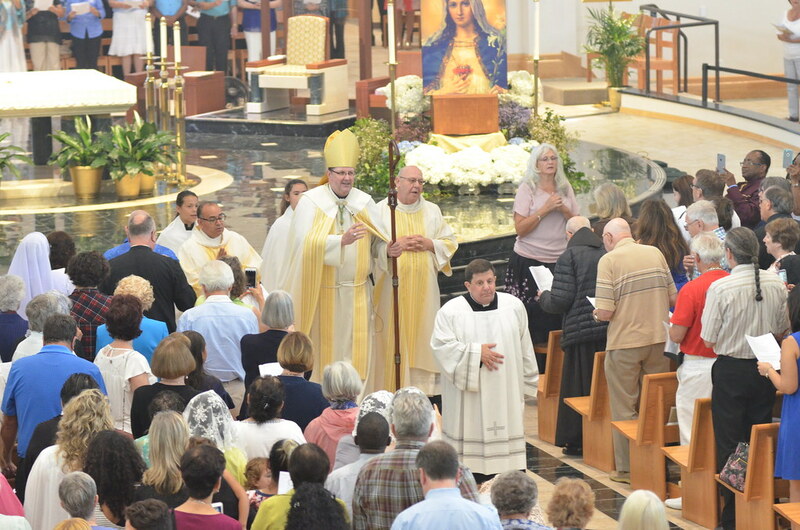 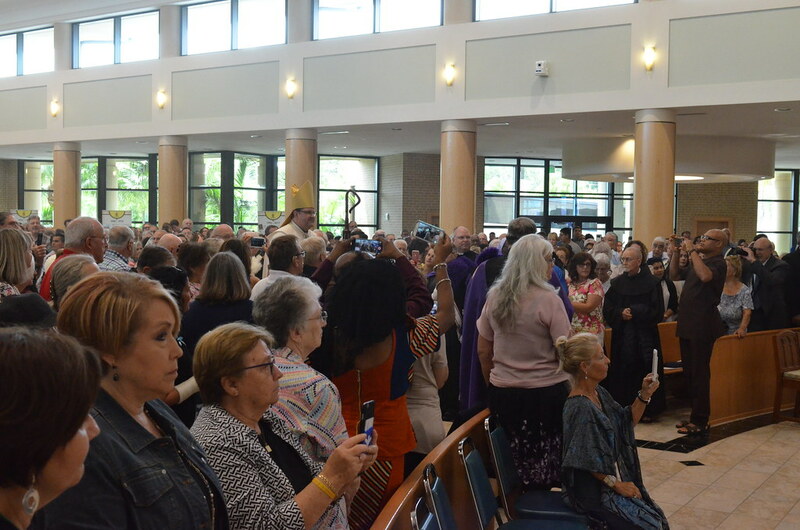 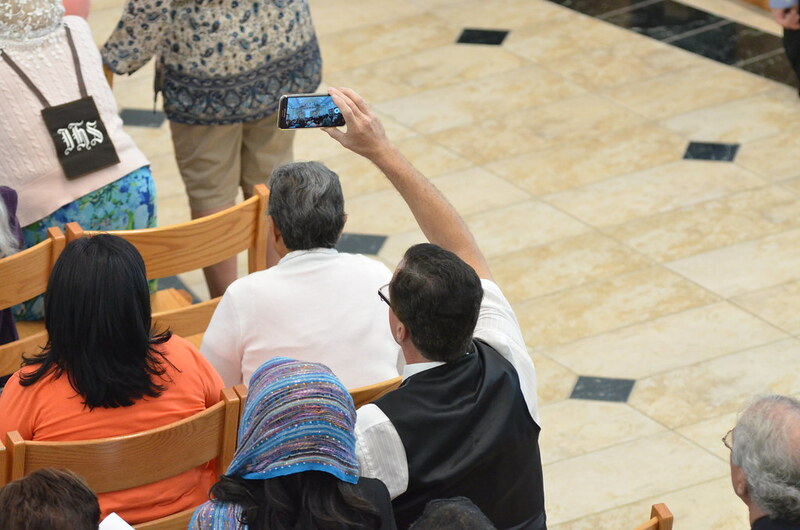 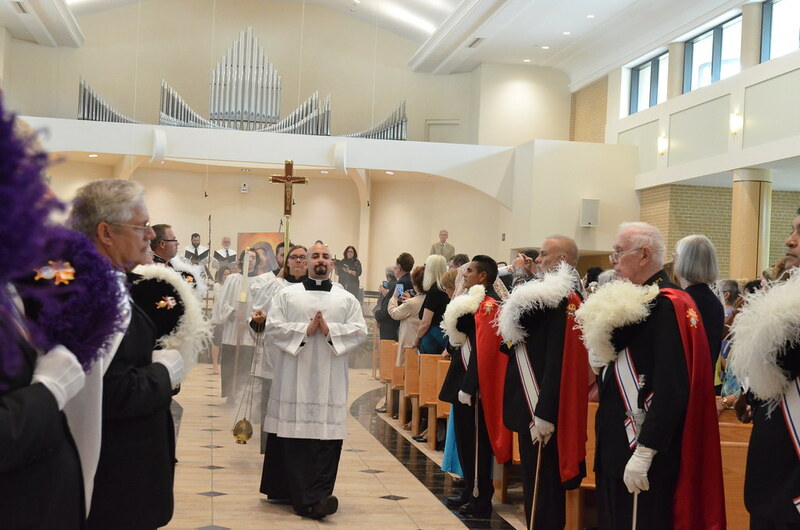 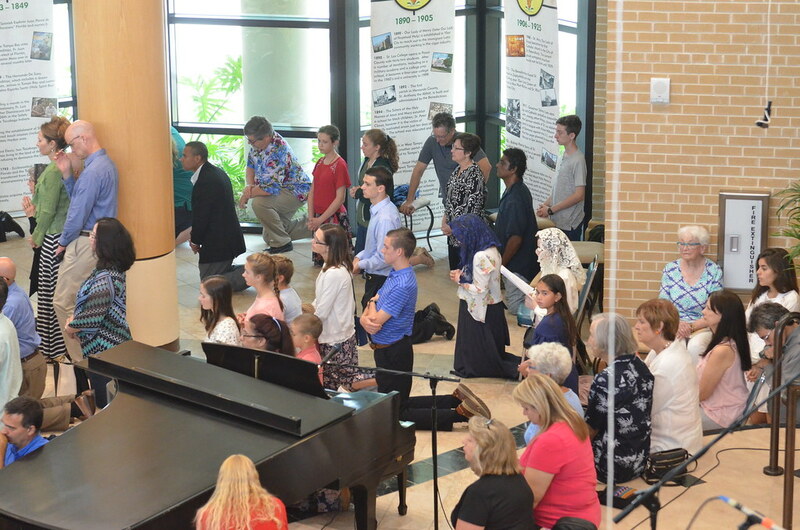 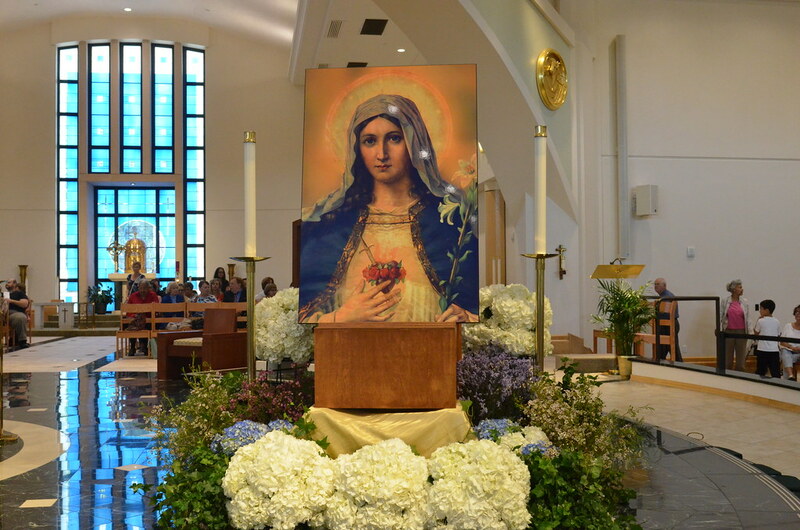 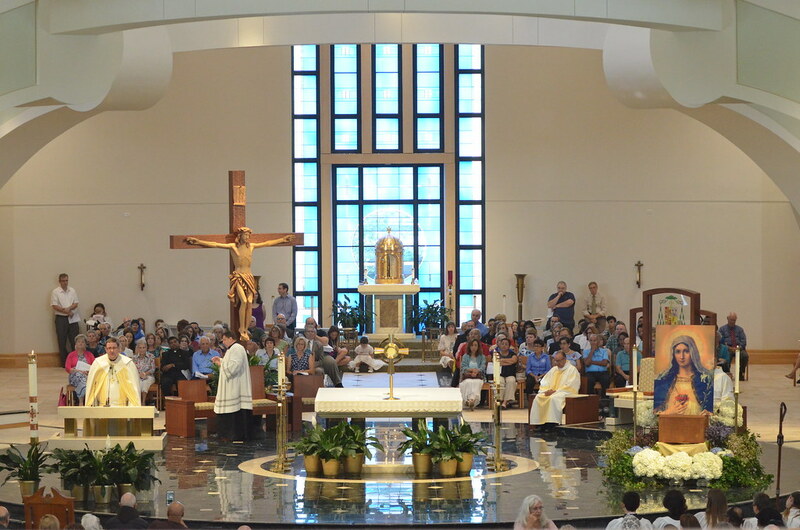 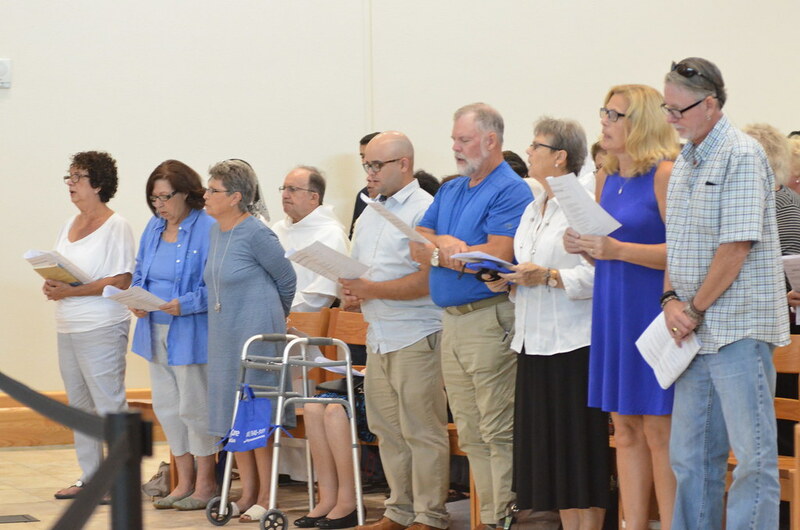 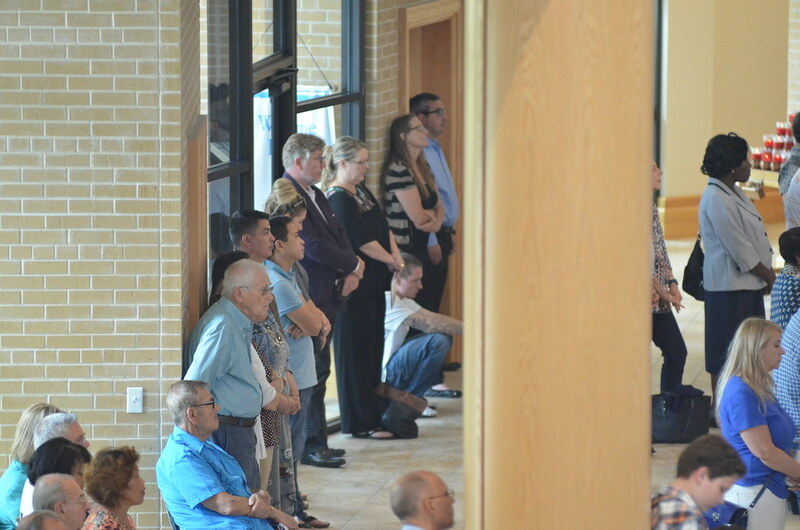 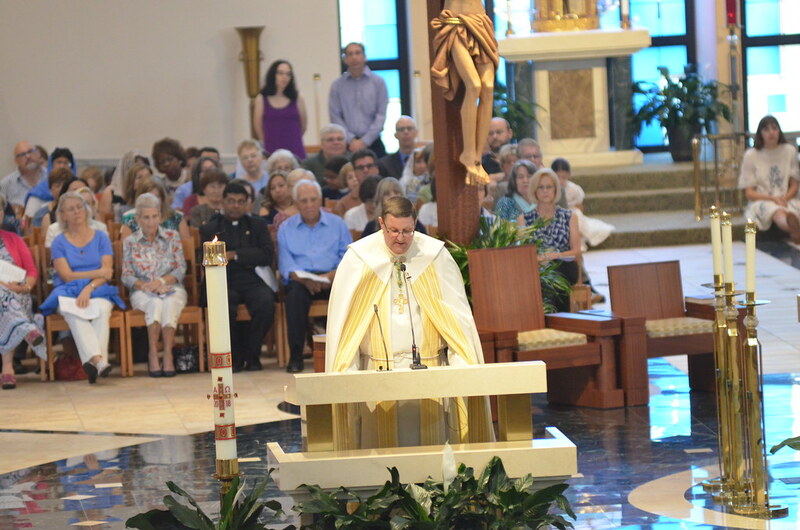 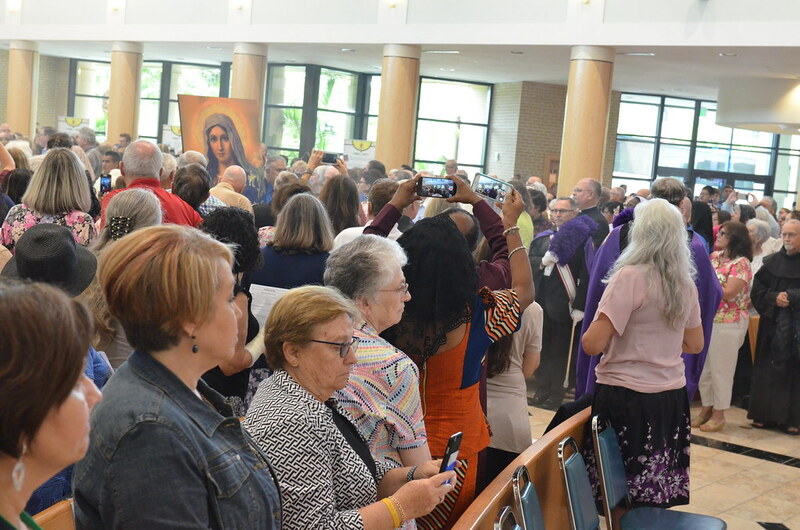 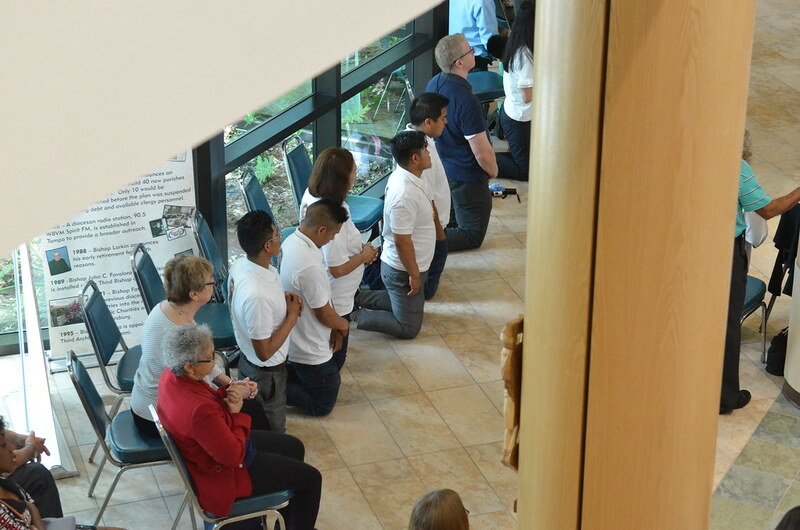 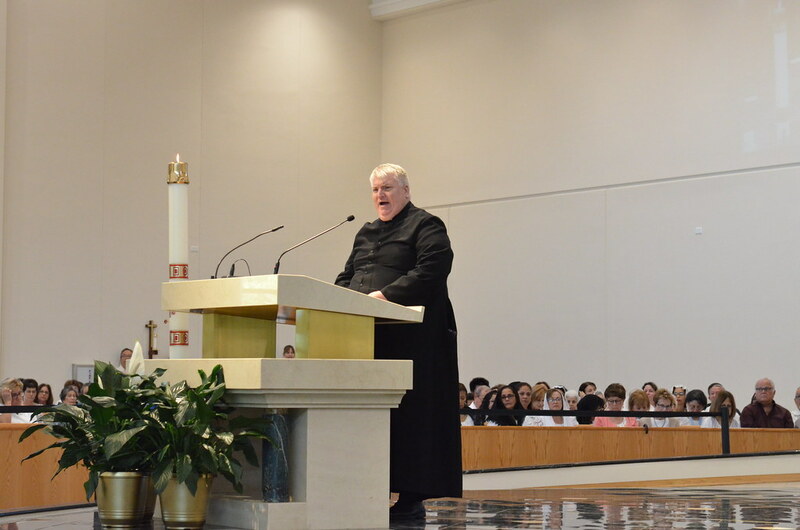 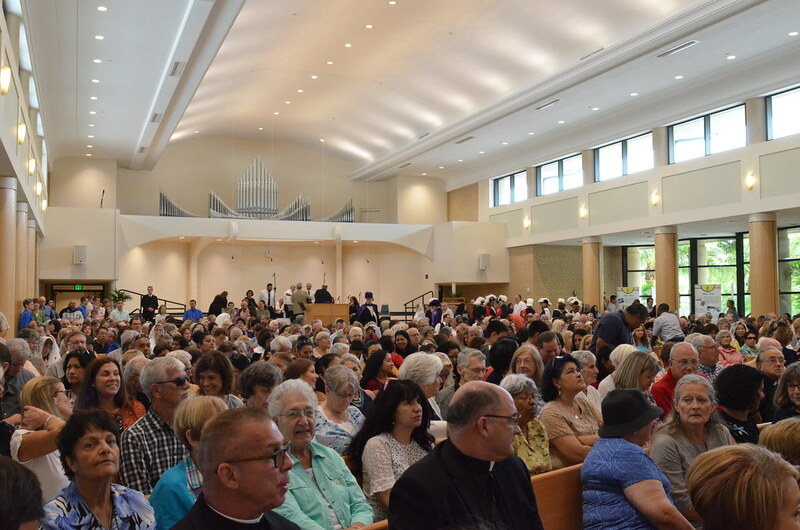 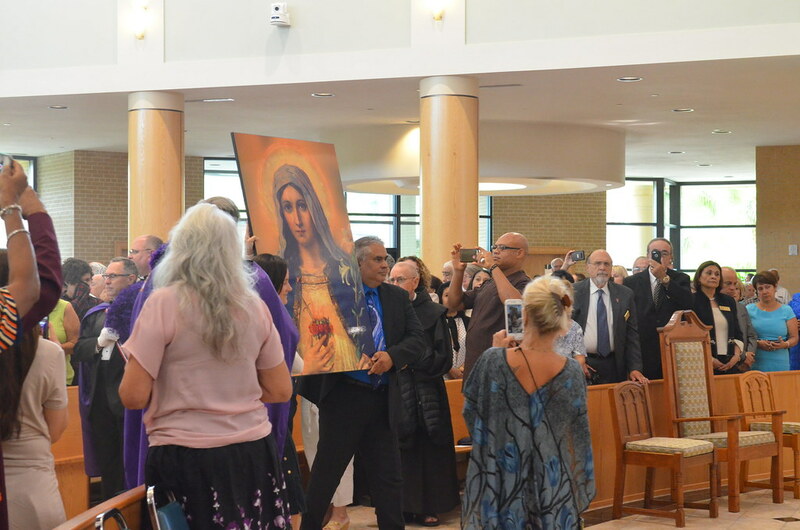 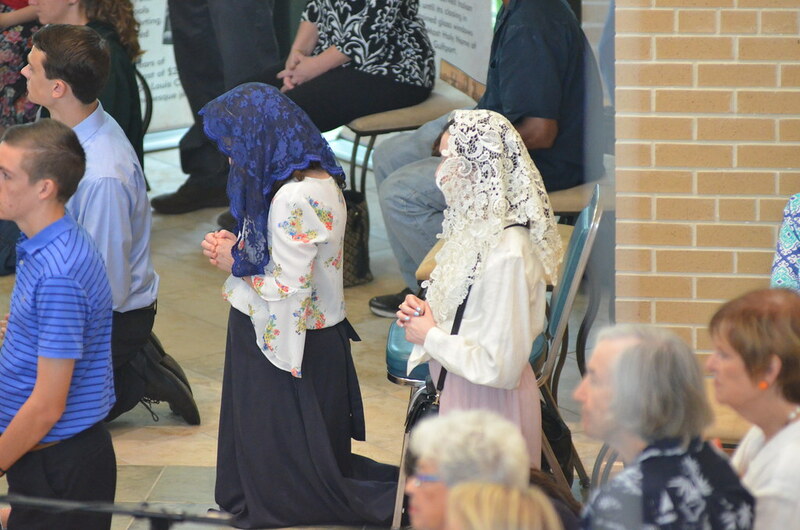 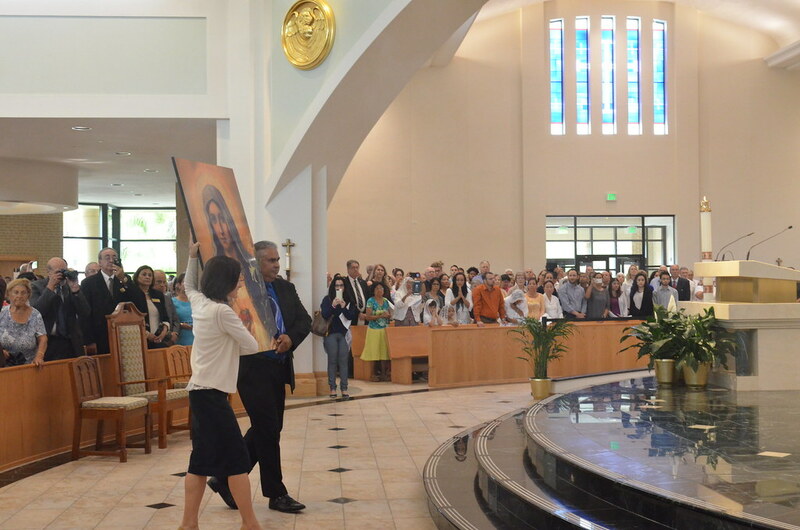 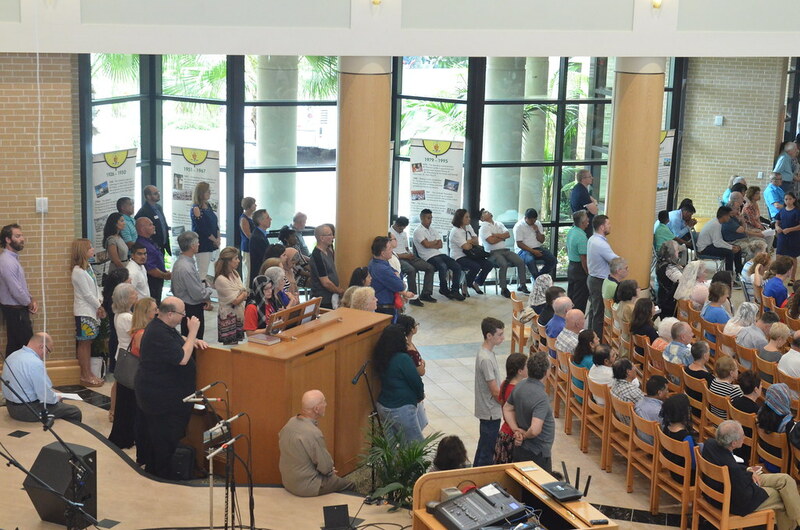 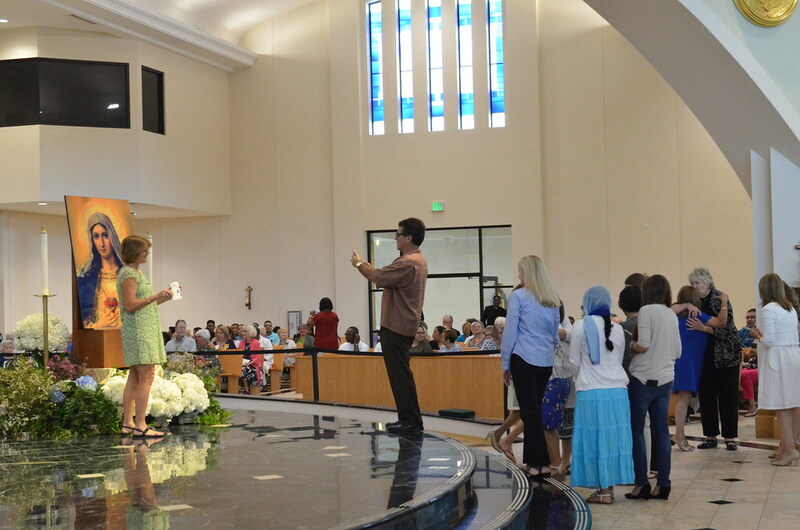 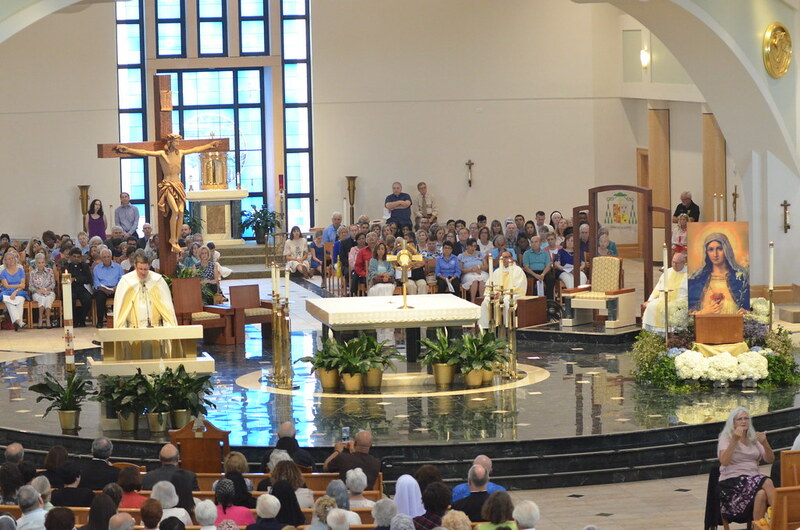 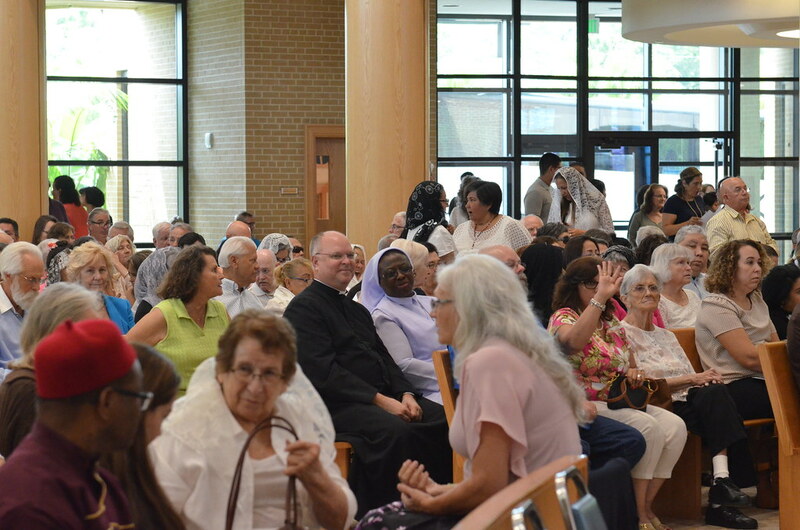 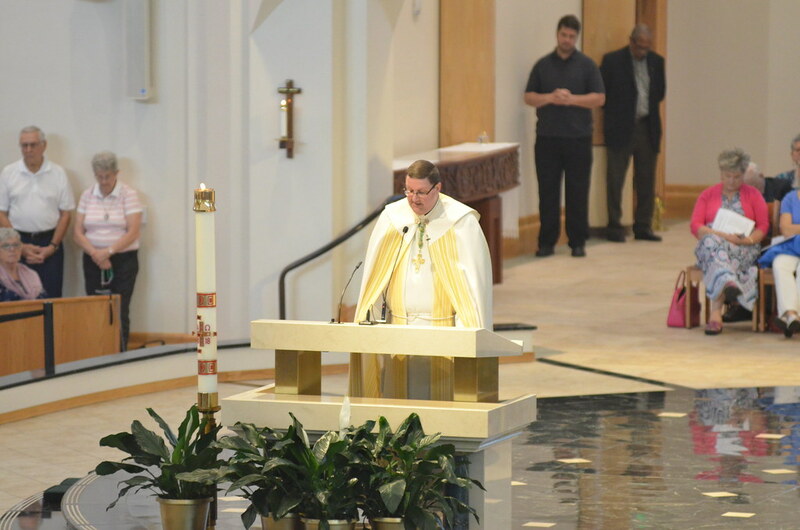 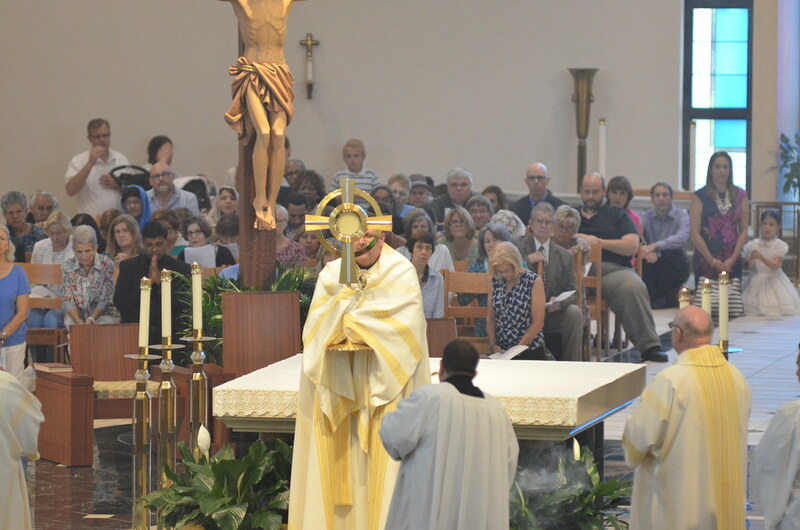 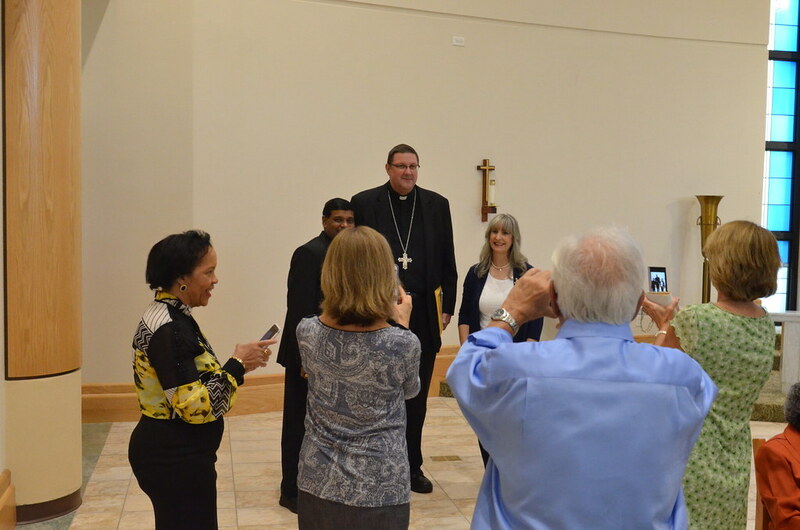 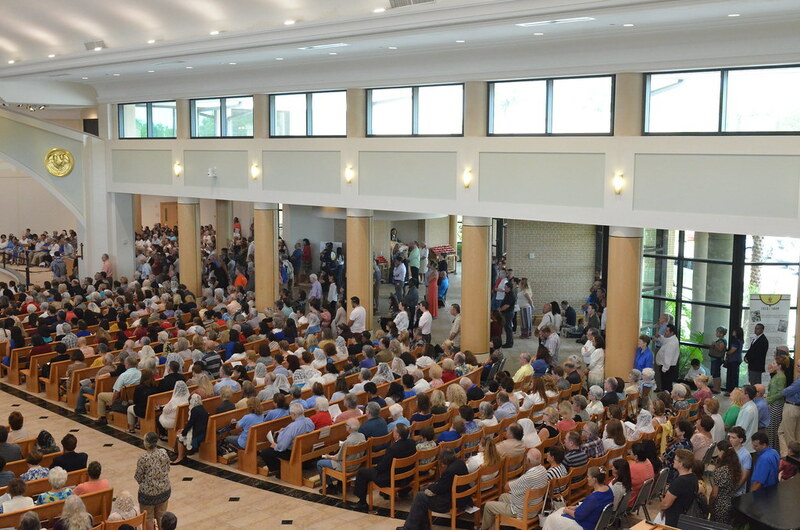 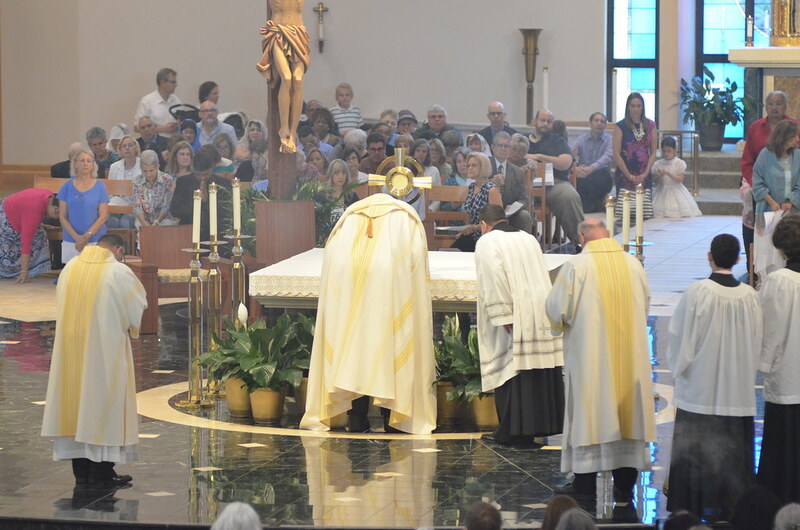 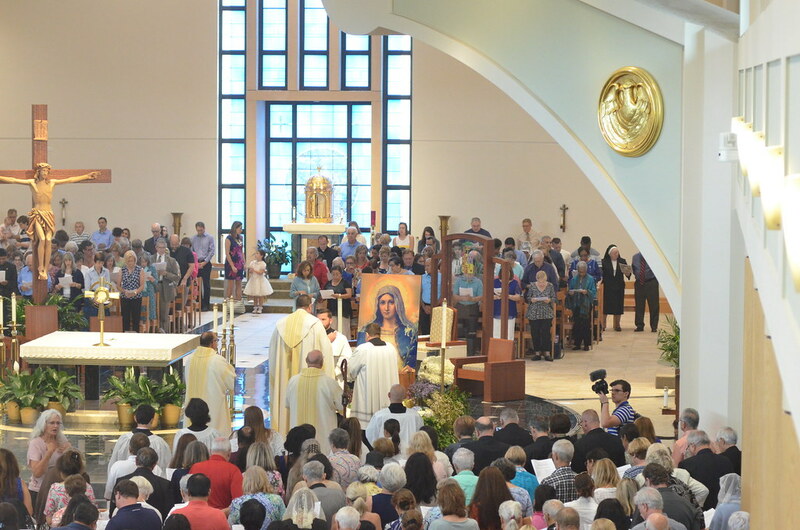 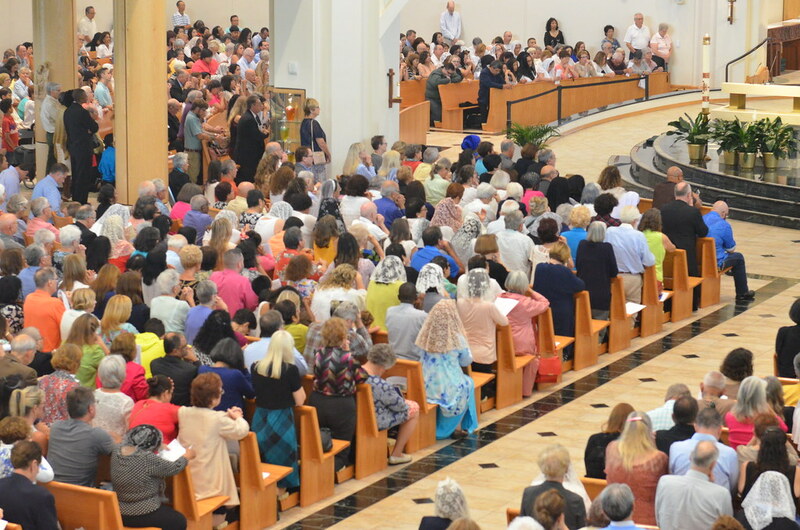 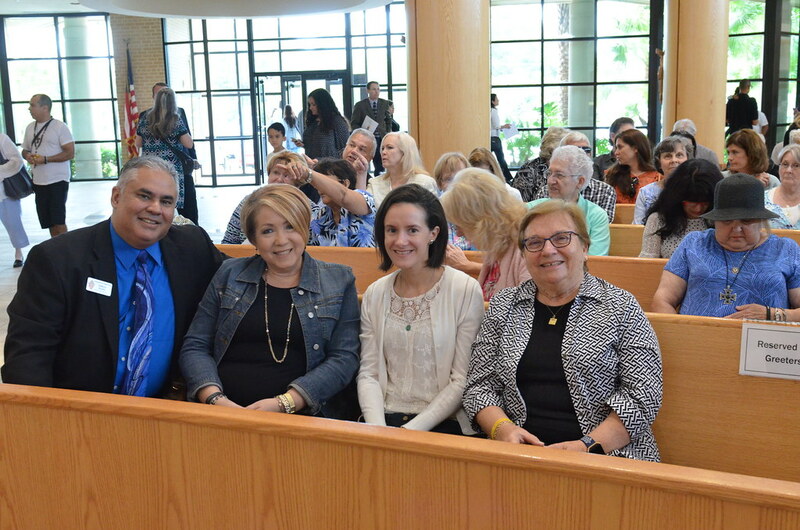 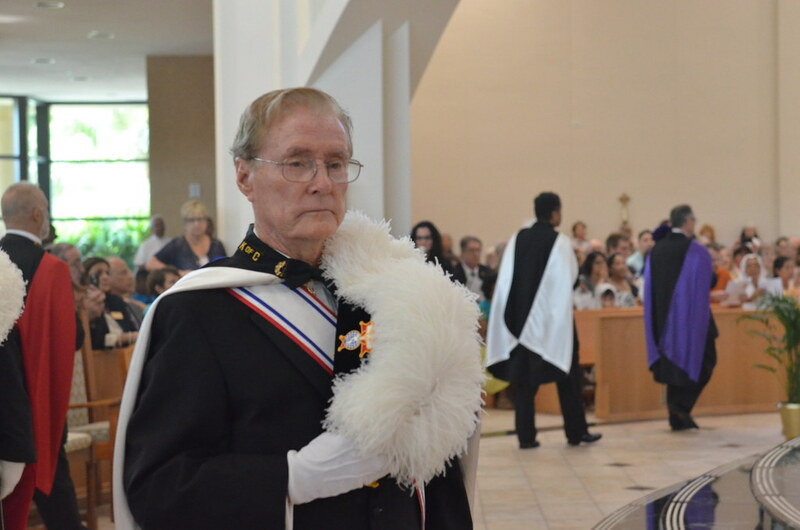 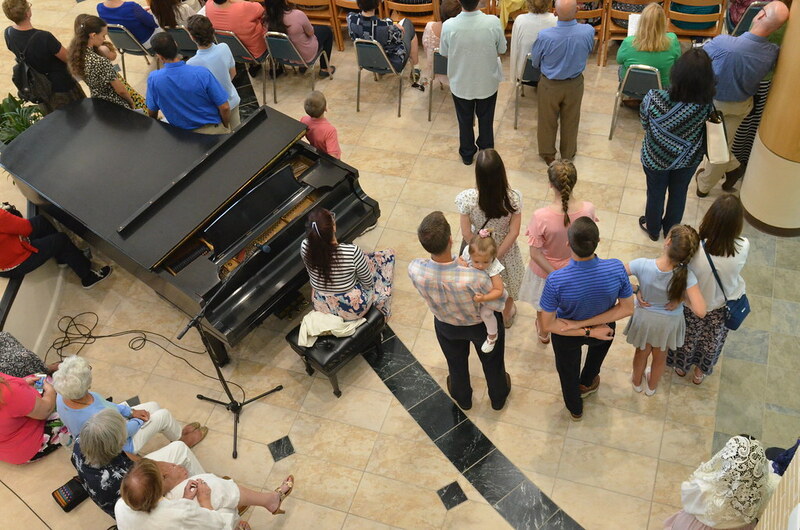 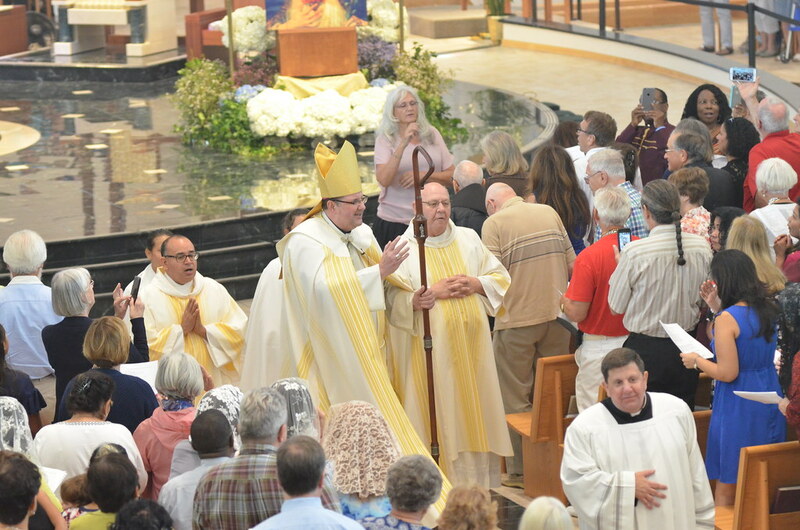 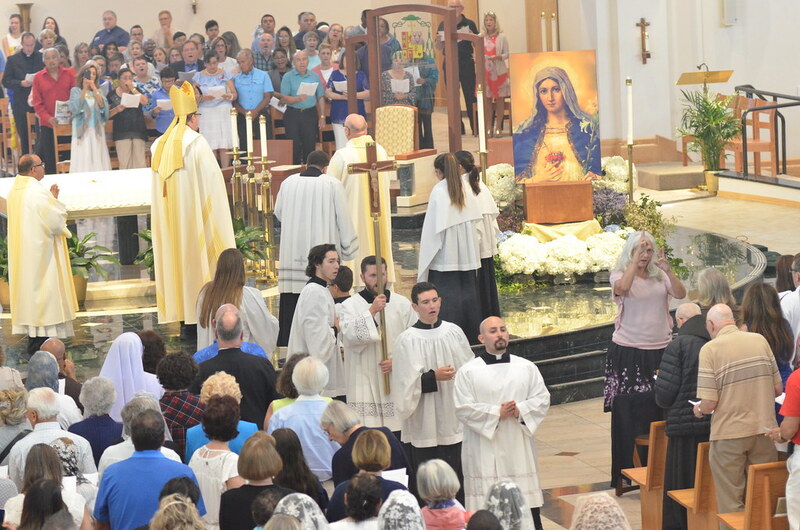 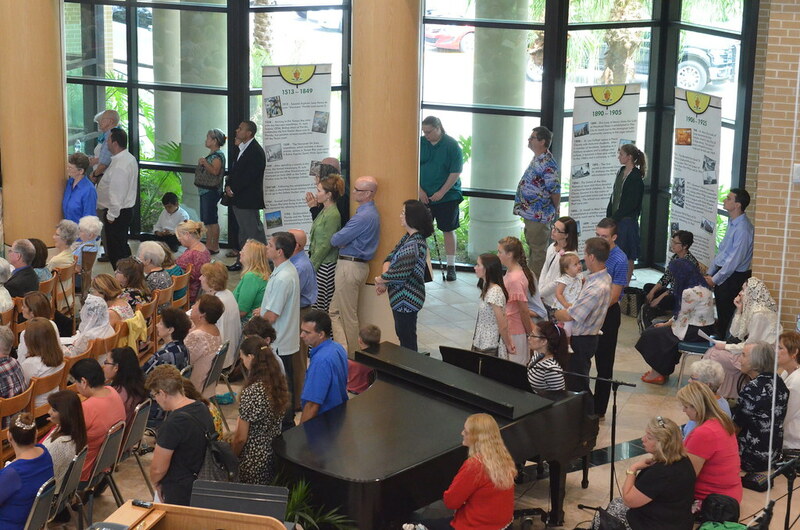 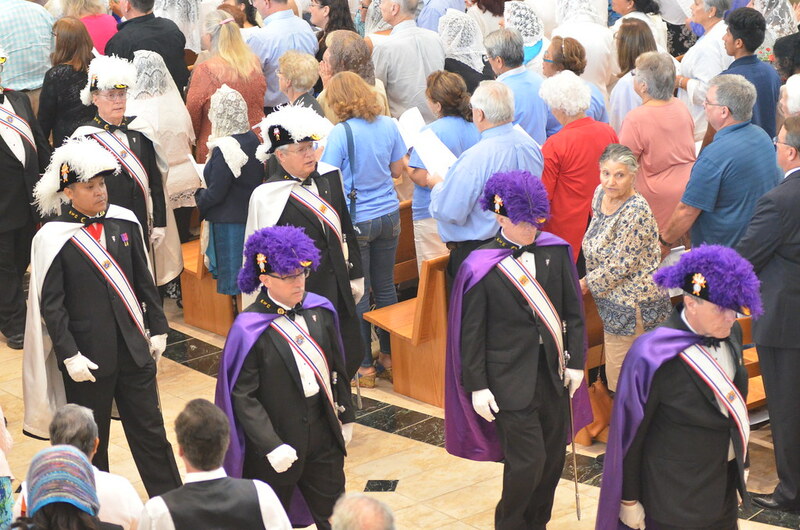 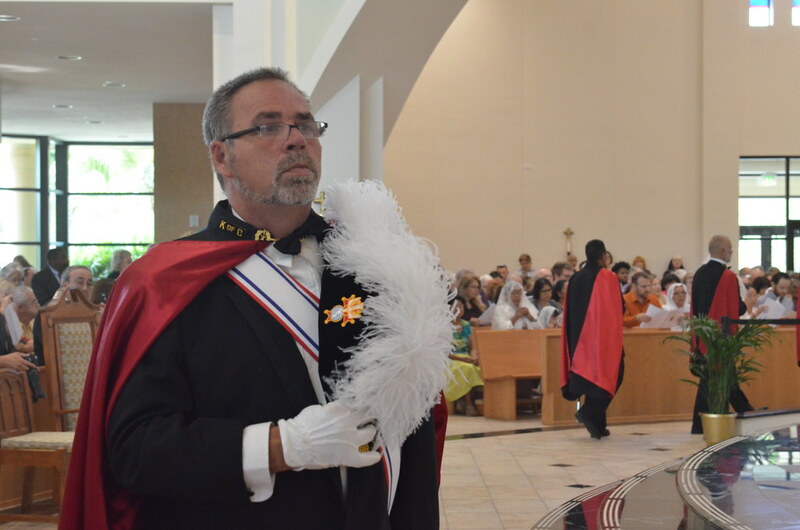 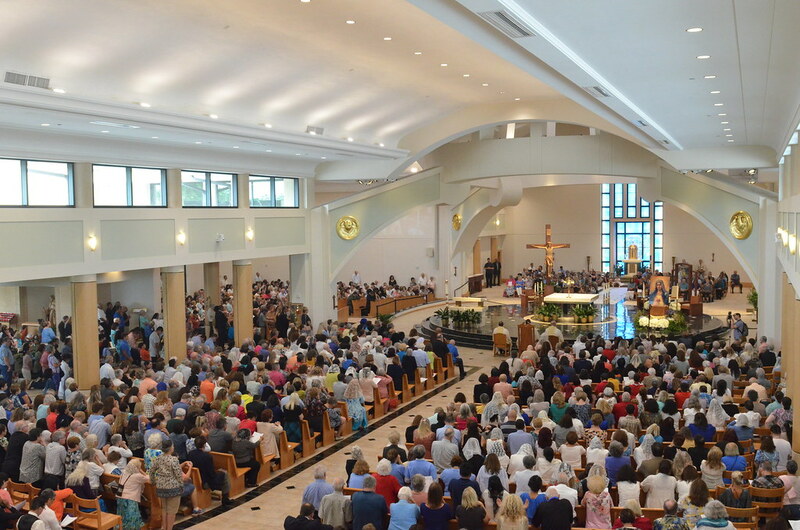 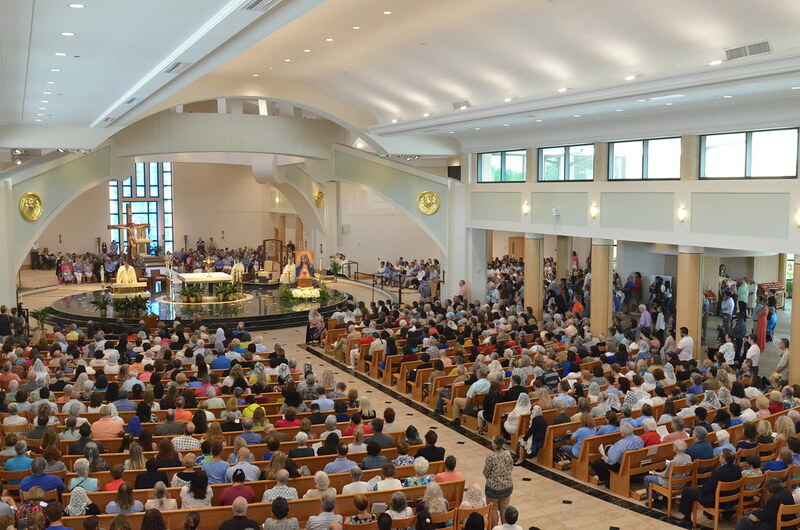 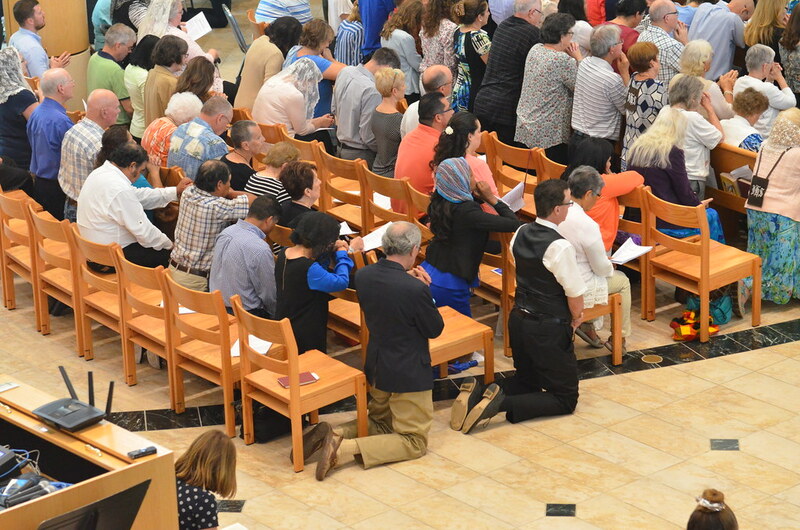 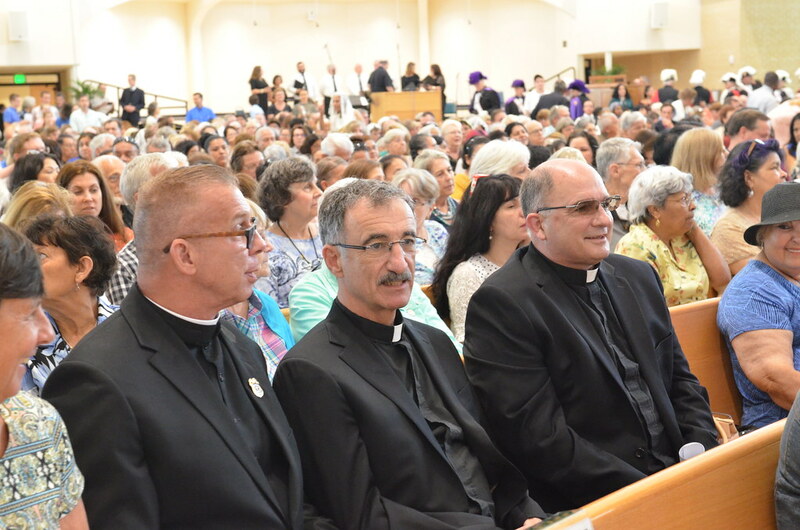 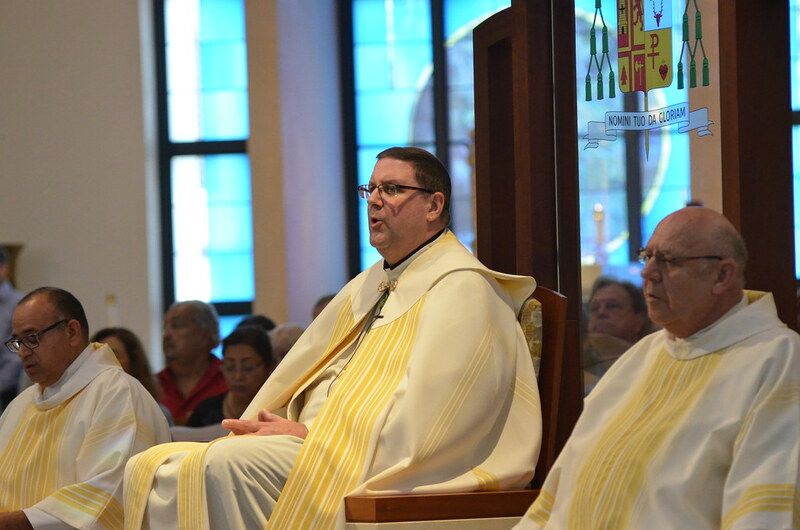 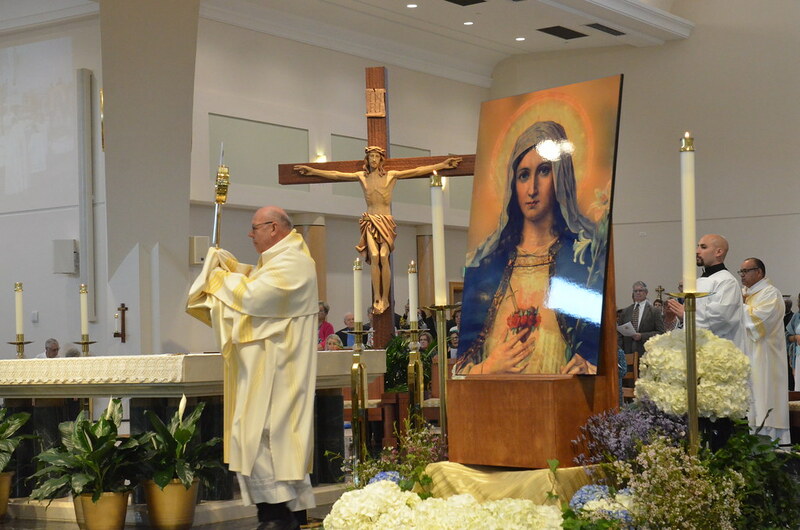 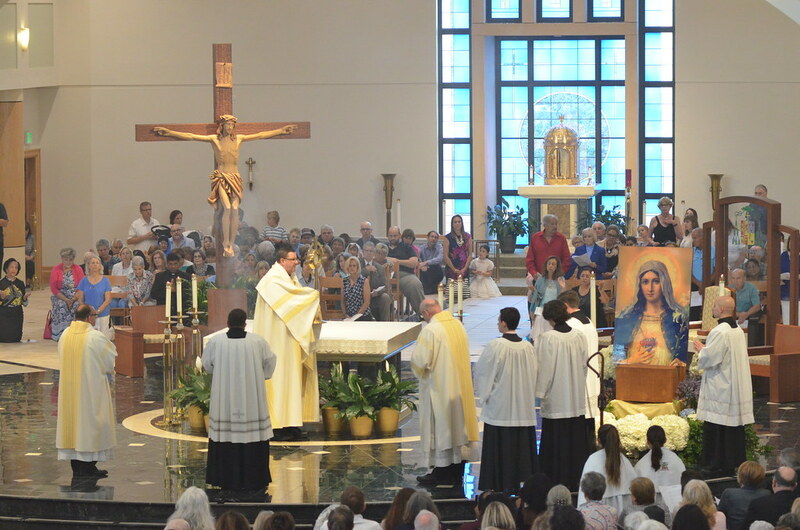 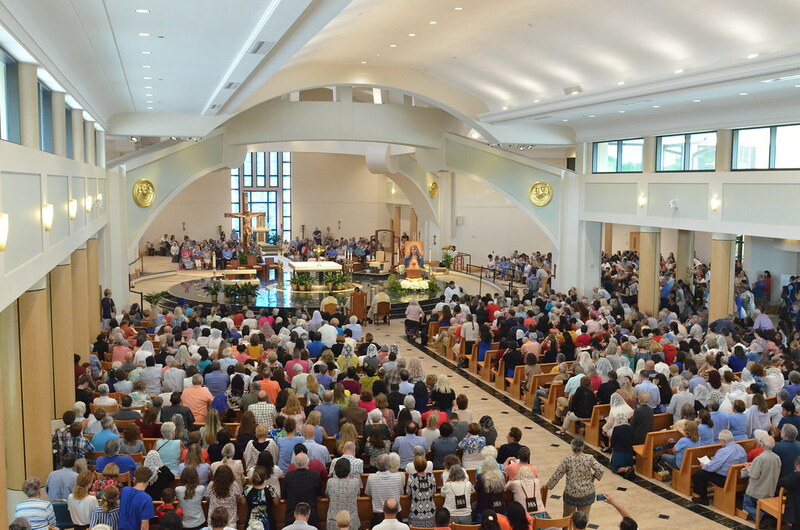 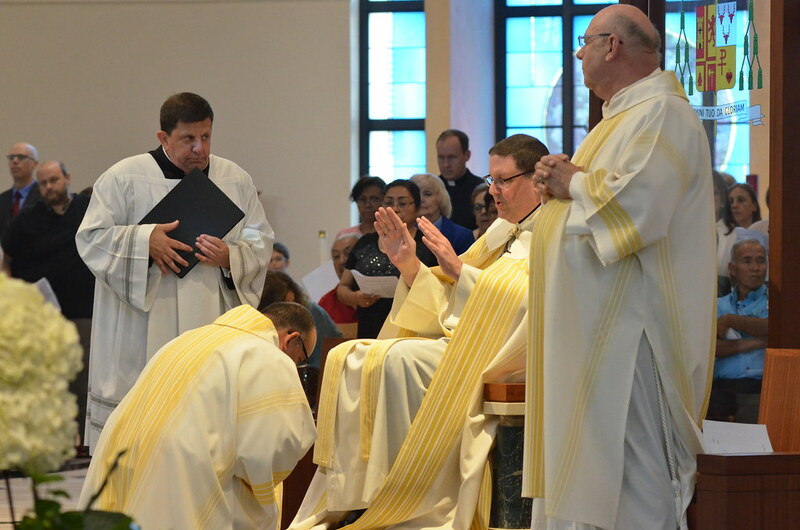 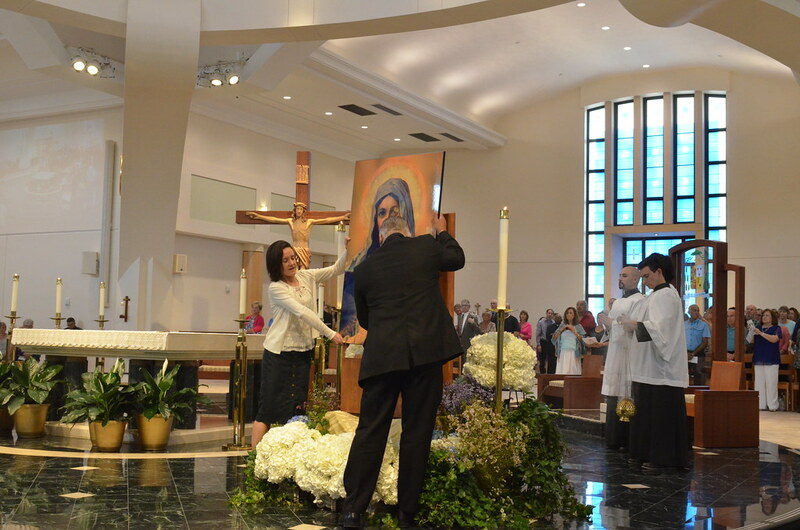 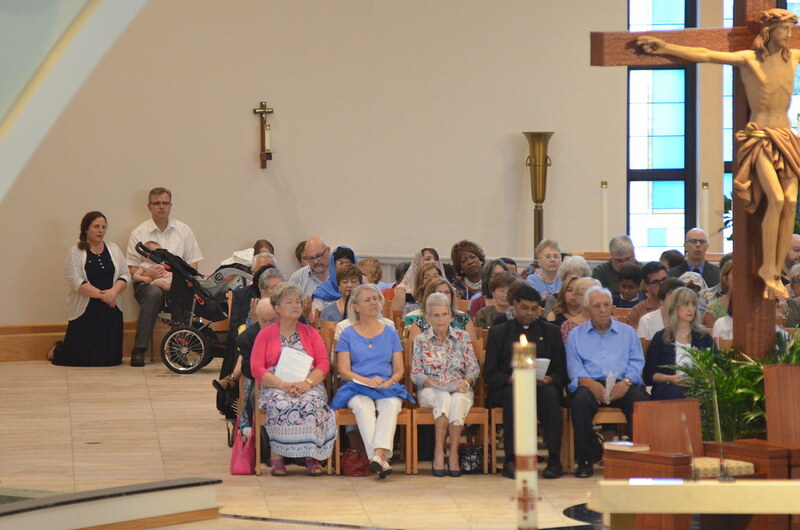 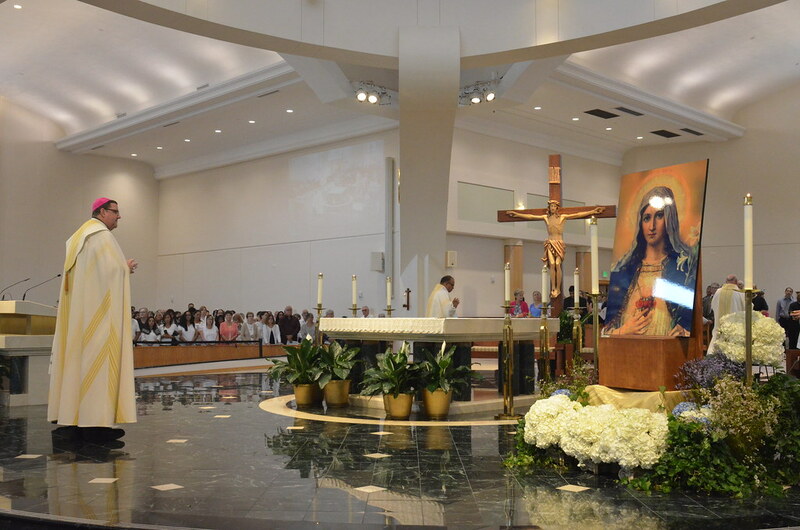 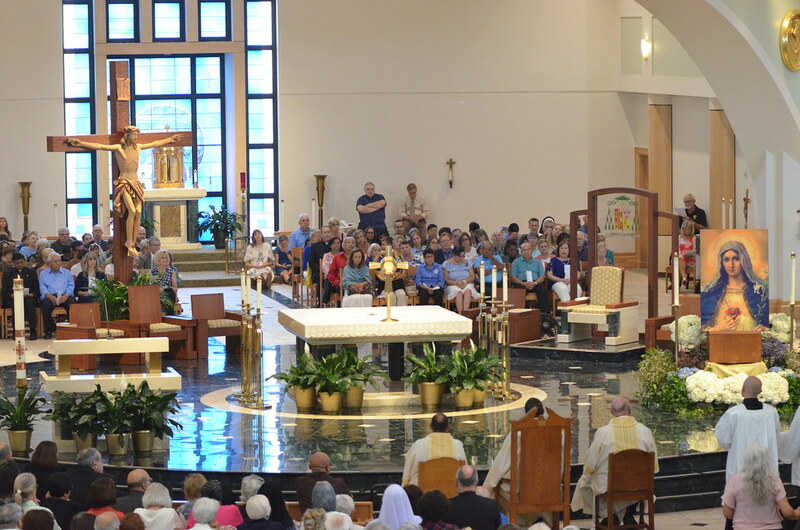 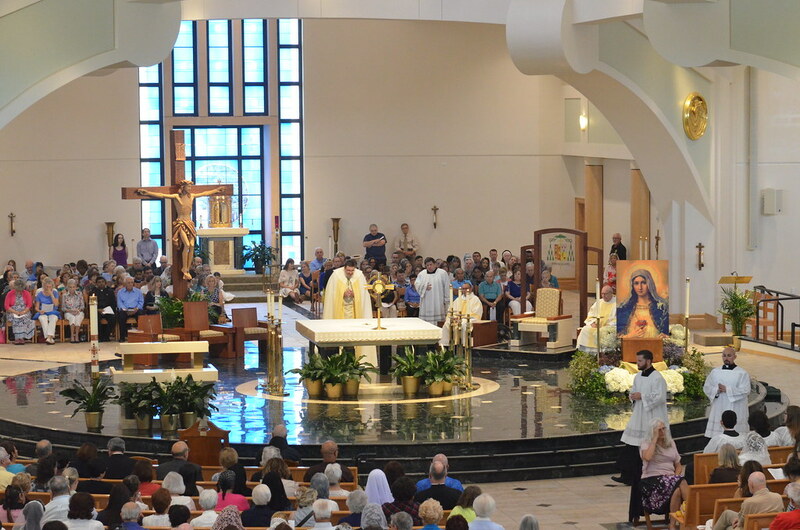 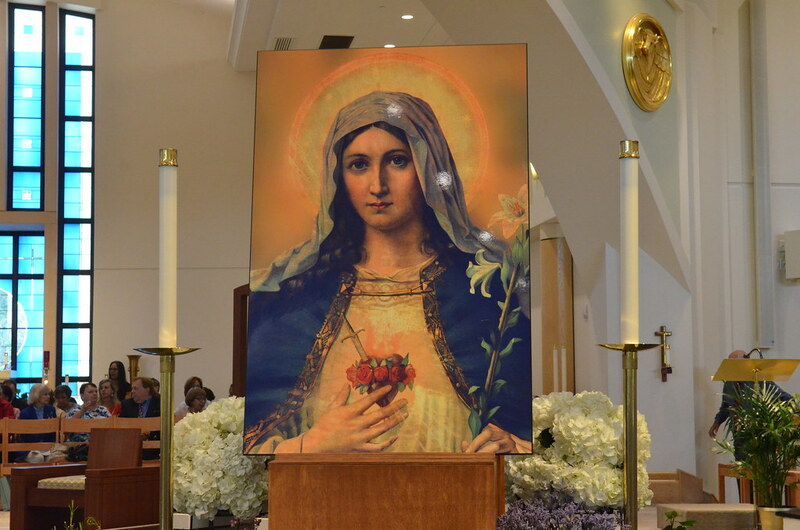 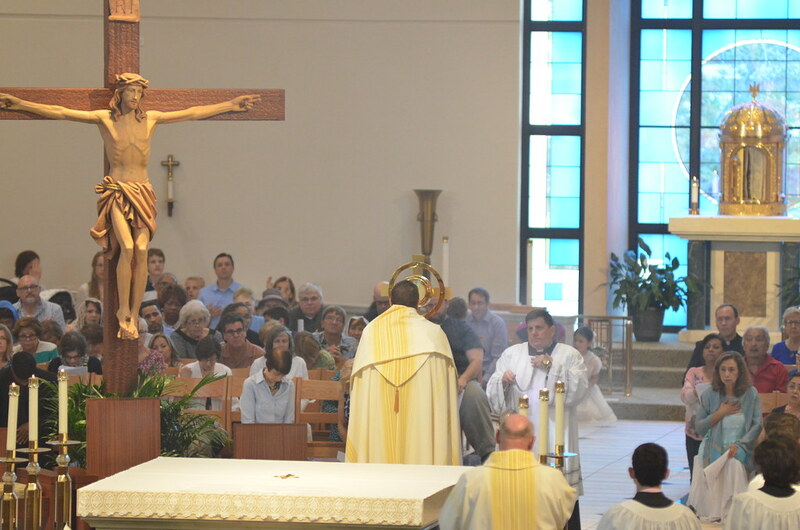 Over 1,300 people gathered at the Cathedral of St. Jude the Apostle on Sunday, May 6, 2018 to pray during a Holy Hour as Bishop Gregory Parkes consecrated the Diocese of St. Petersburg to the Immaculate Heart of Mary. 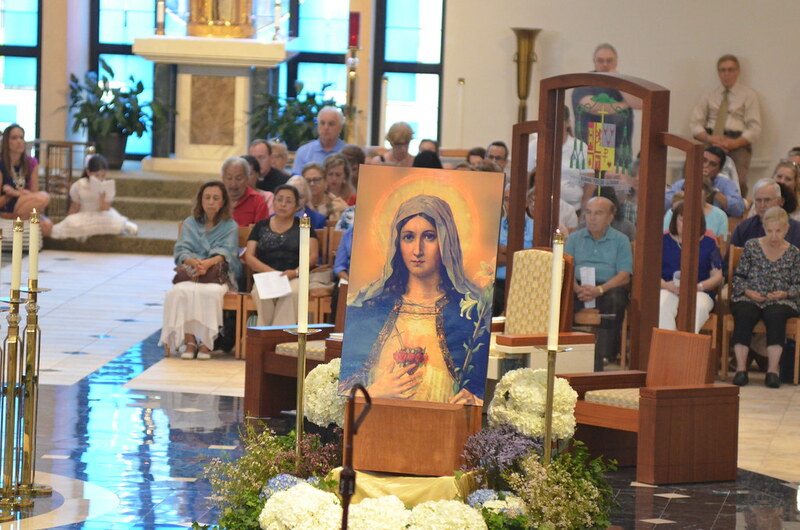 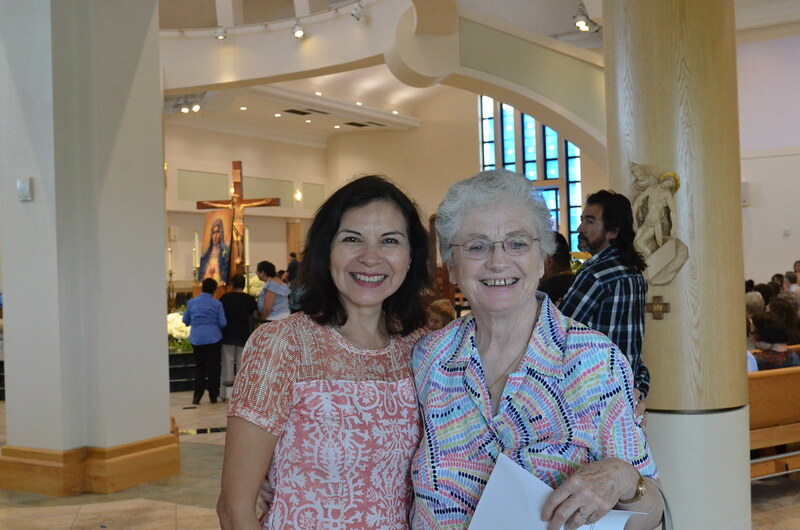 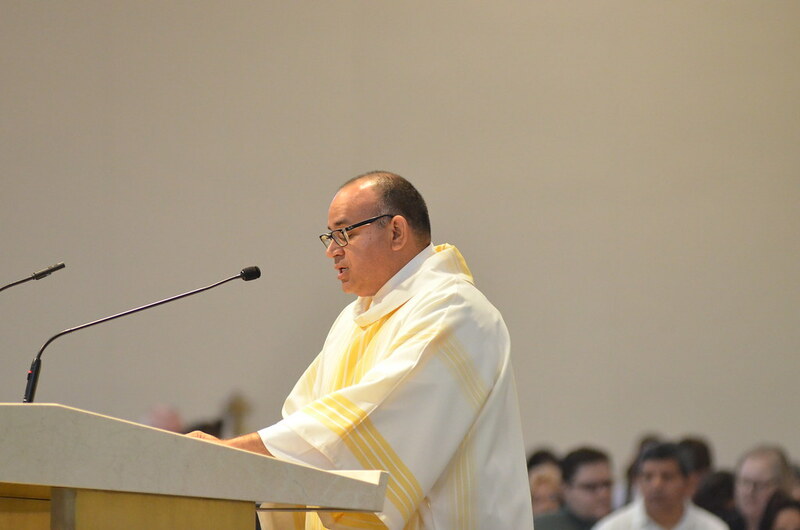 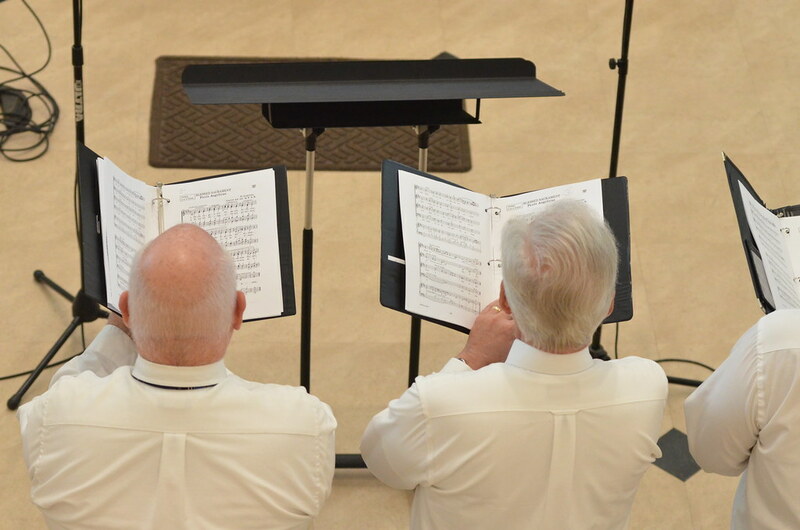 9:00 a.m. – 5:00 p.m., Mass of Renewal, 4:00 p.m.
Why attend the Marian Congress? 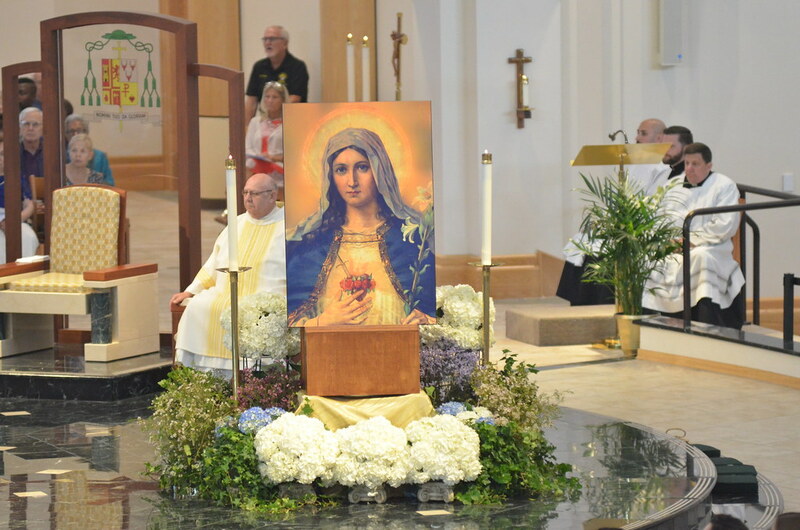 Learn about the role Mary has in the Church, why she is a gift to you from Jesus and why she is your refuge in time of danger. 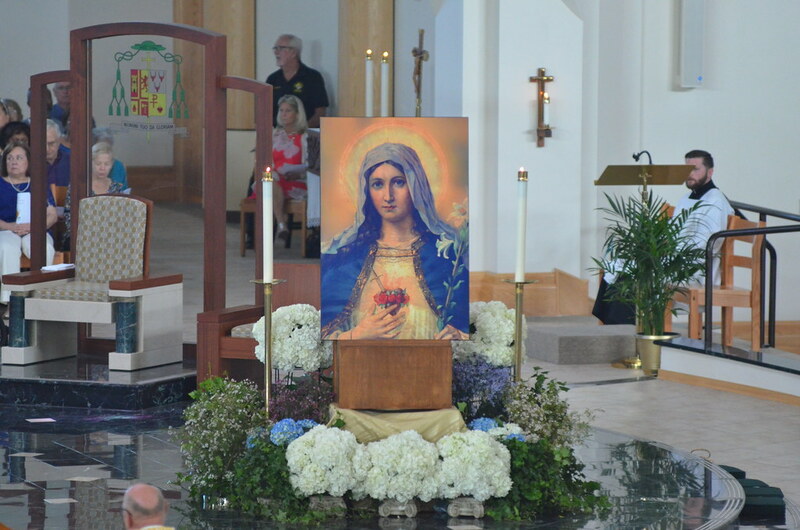 Learn how to take Mary into your heart and home so that your life and your family can be transformed. 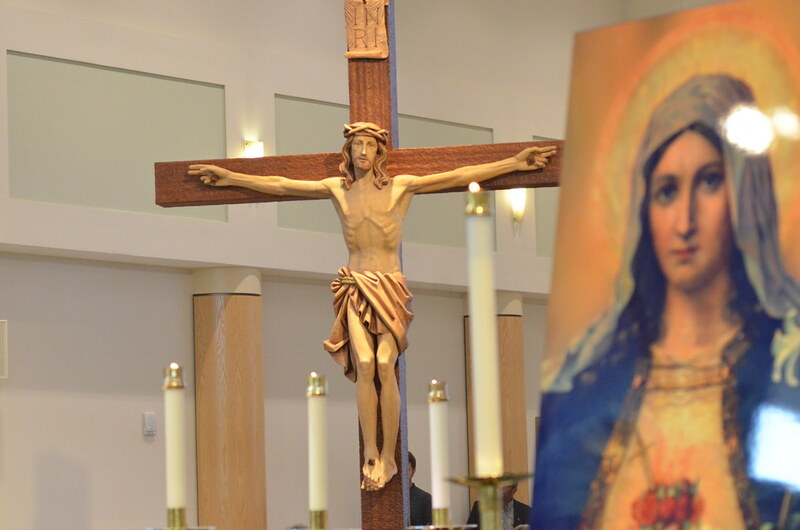 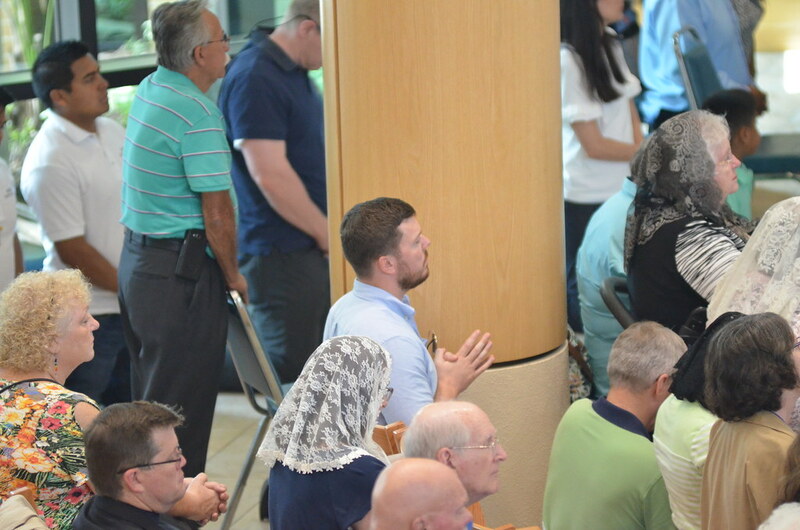 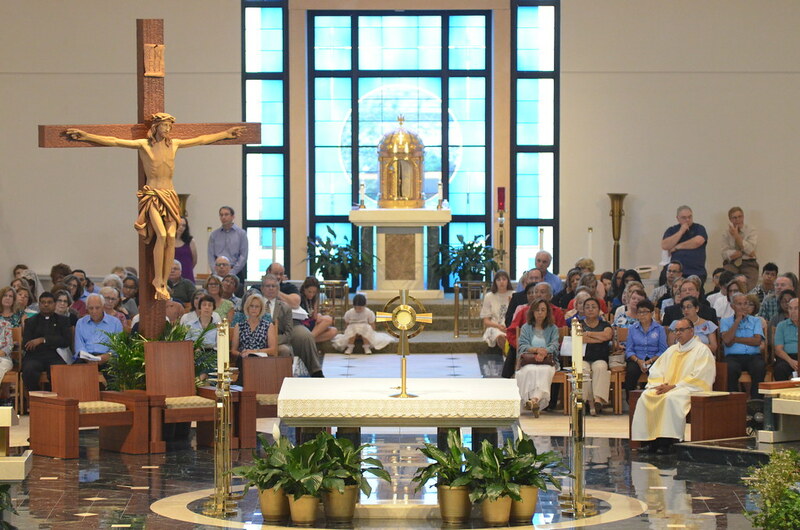 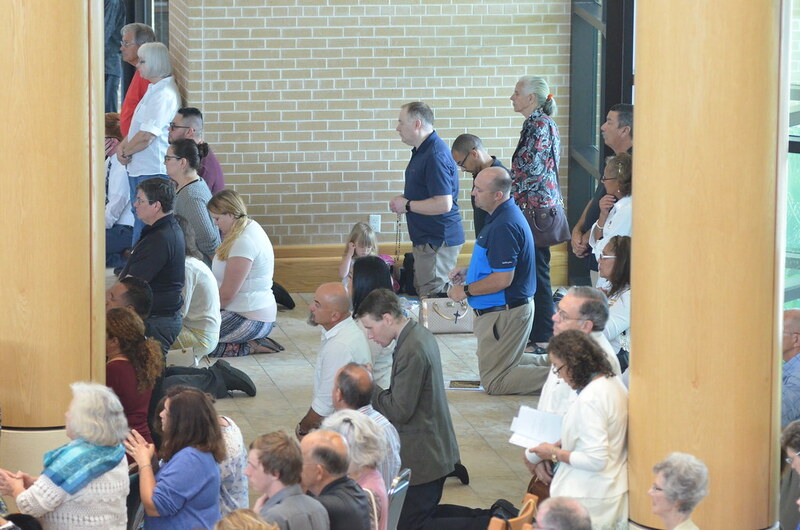 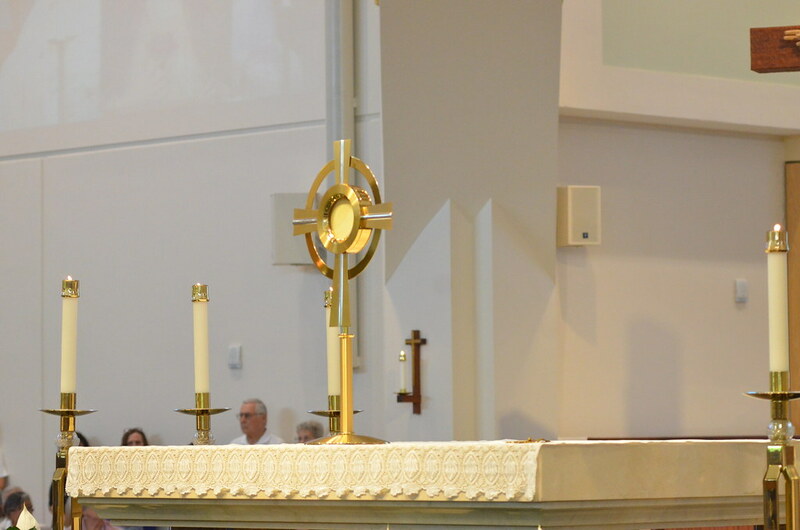 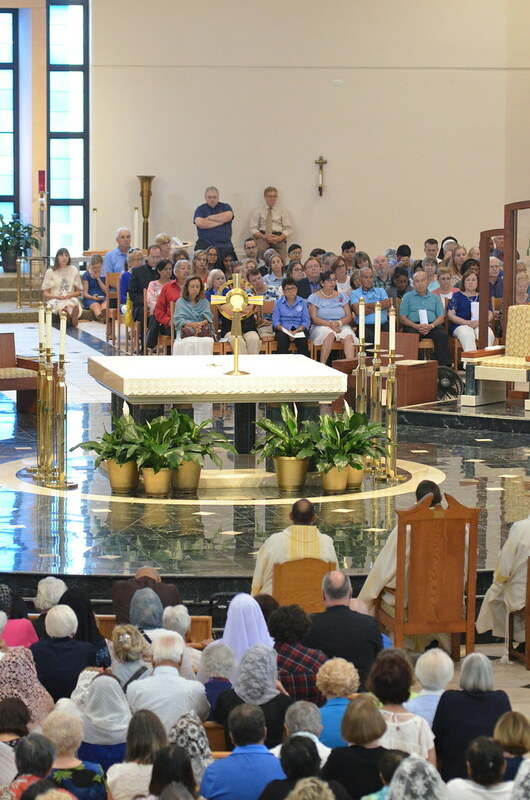 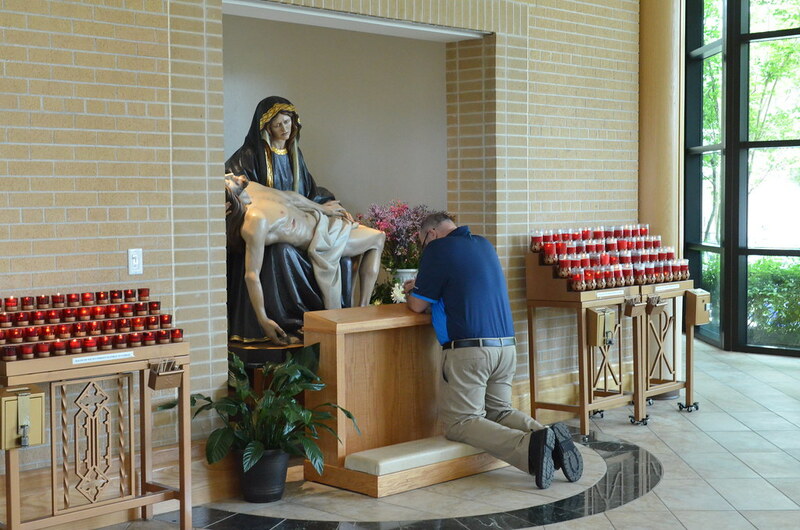 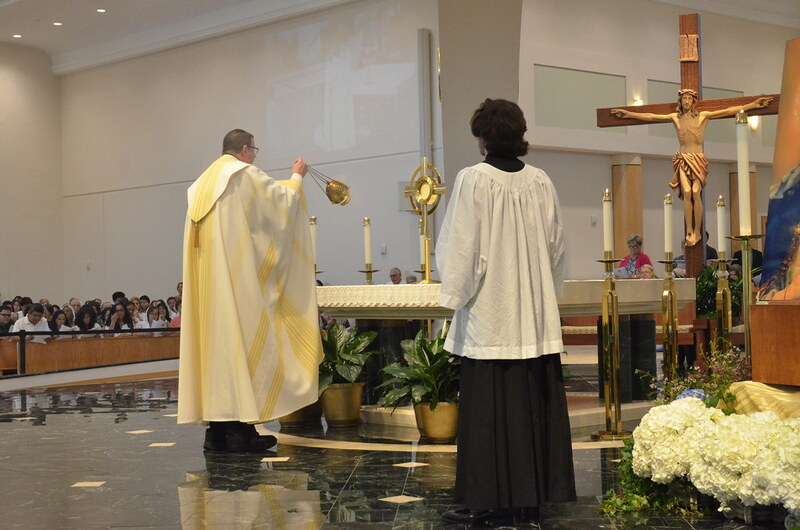 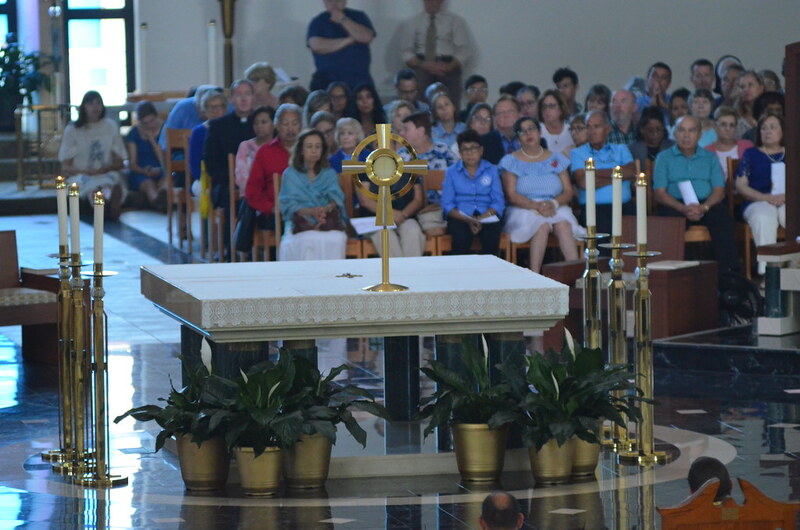 Spend time with Jesus in prayer during Eucharistic Exposition, Adoration, and Benediction. 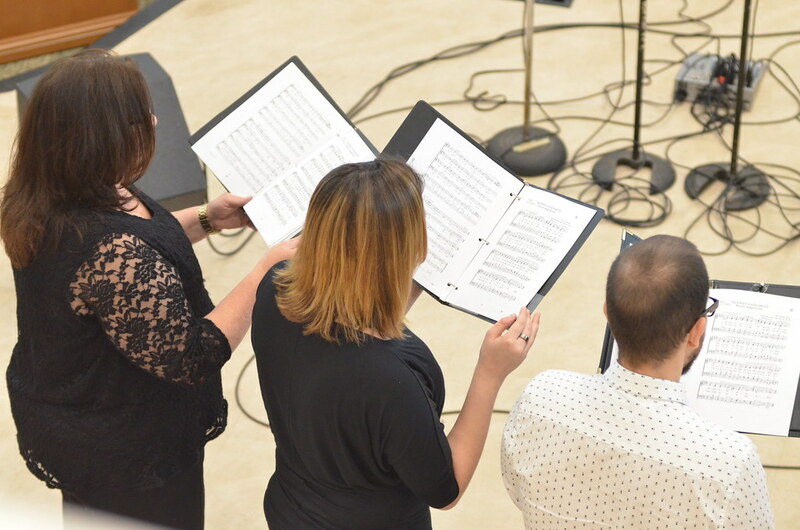 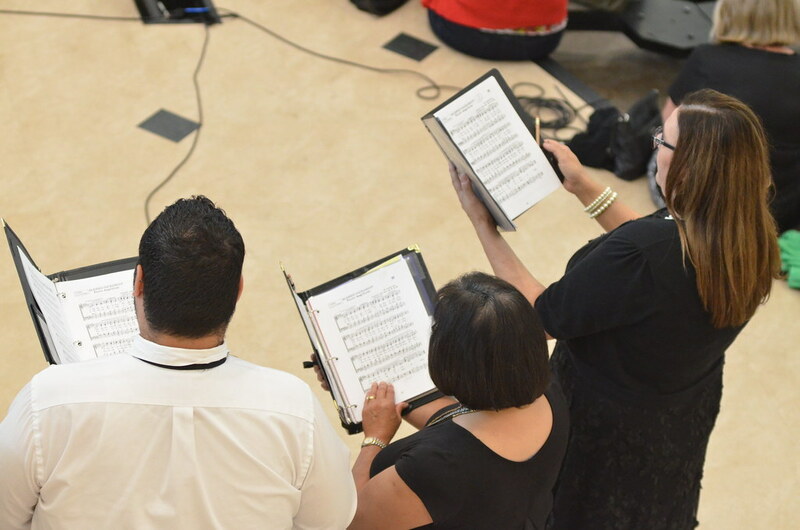 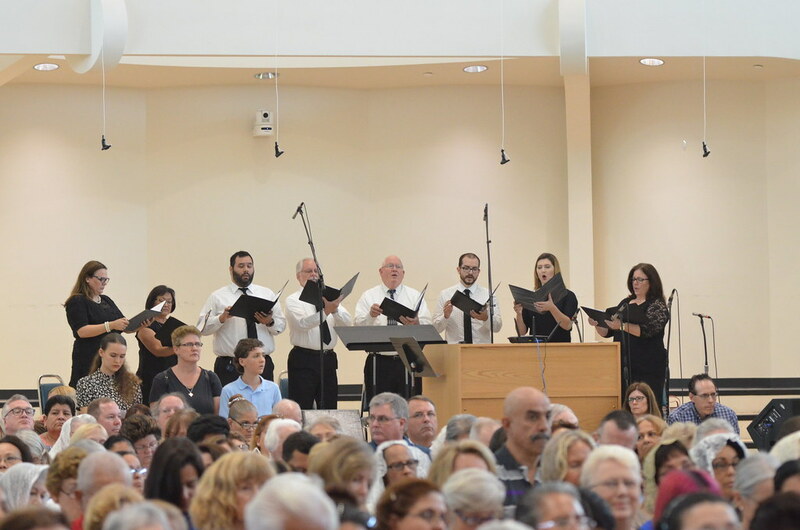 Listen to uplifting music from Freedom to Worship Ministry. 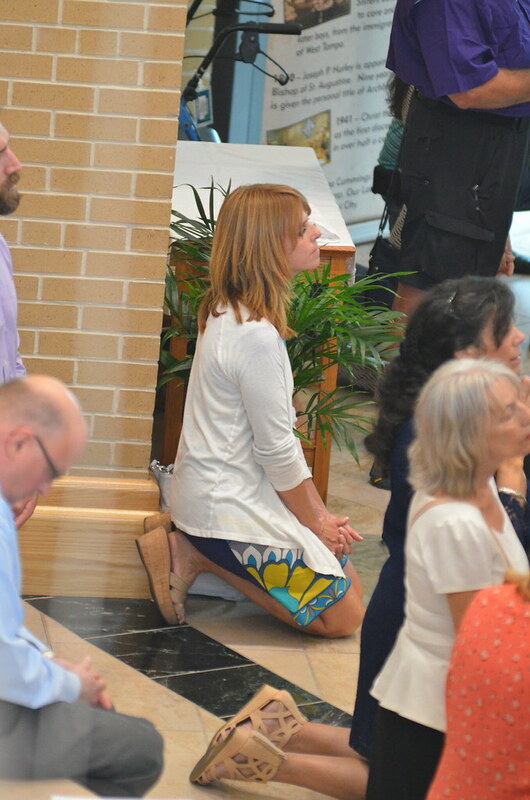 Why renew your consecration during the Mass of Renewal that begins at 4:00 p.m. at the Cathedral of St. Jude the Apostle? 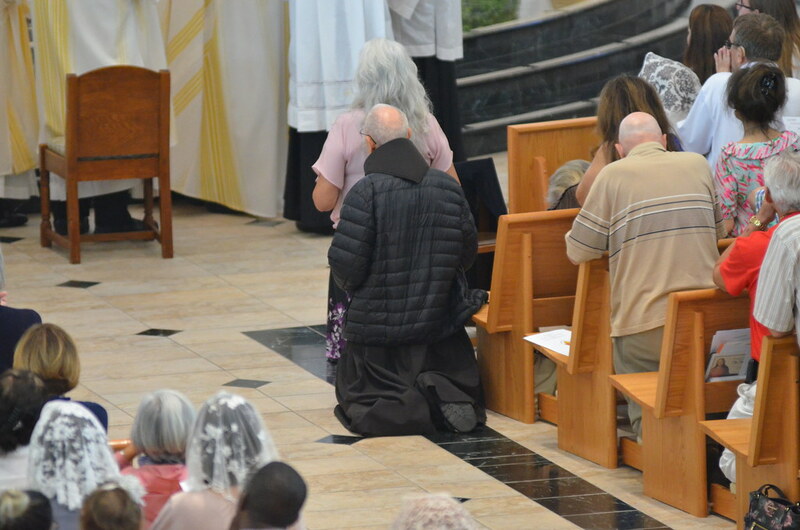 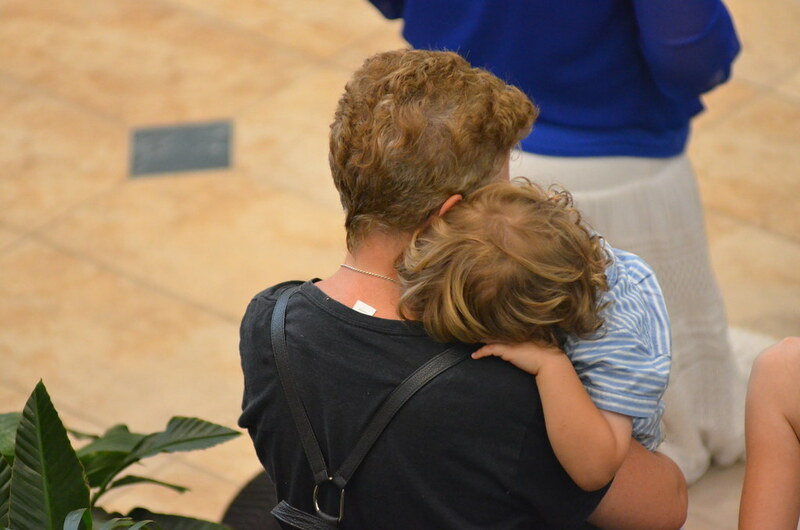 Making a consecration is an act of love, and love needs to be constantly renewed. 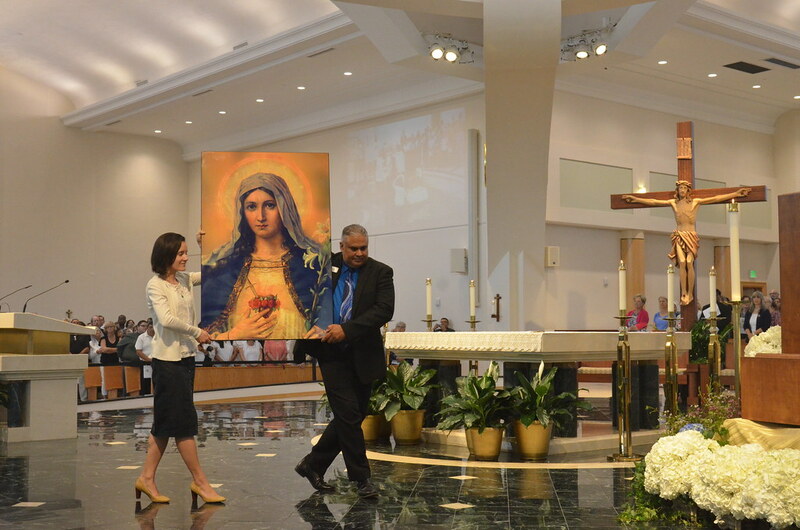 Renewing your consecration means giving yourself again to Jesus in and through the Heart of Mary. 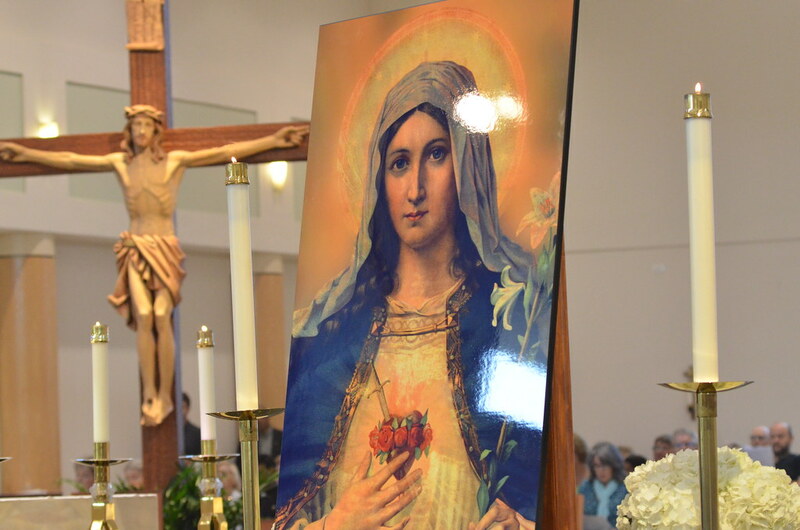 The cost for the conference portion of the Marian Congress is $25 including lunch. 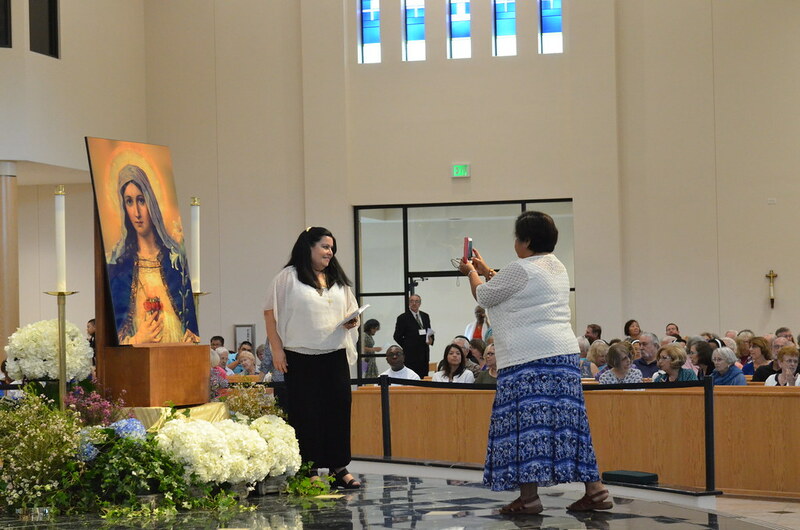 Limited scholarships are available on a “first-come, first-served basis” for those who cannot afford the Marian Congress fee of $25. 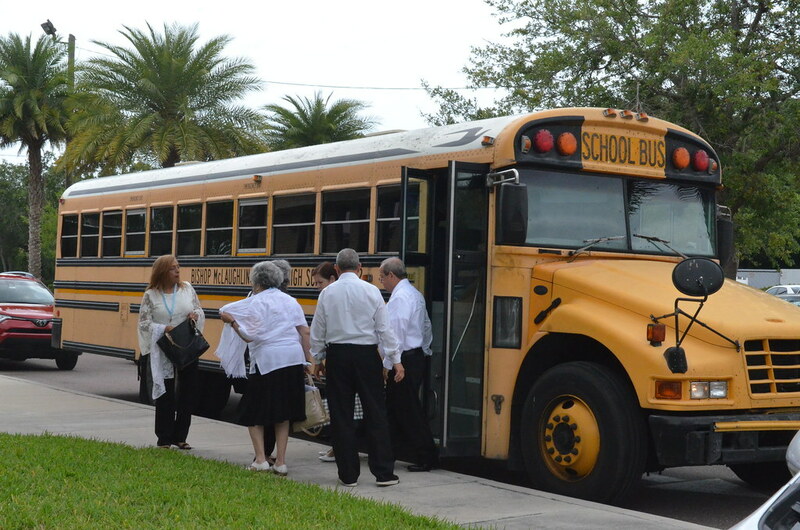 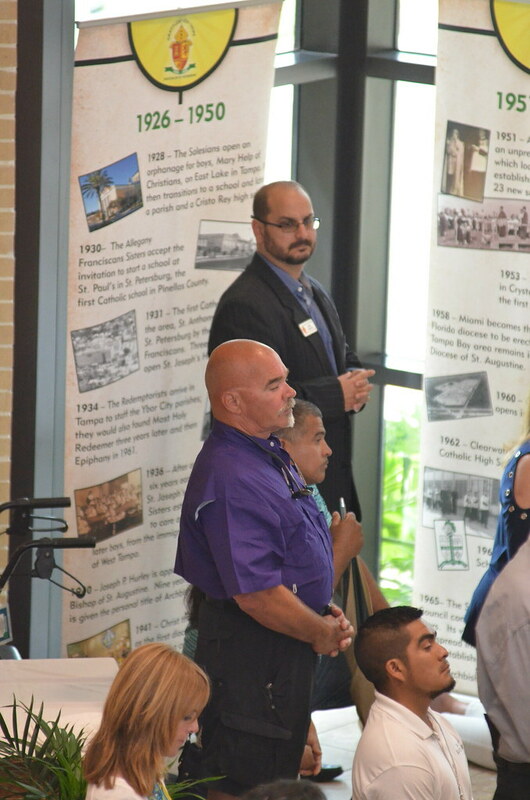 Please contact Mercedes Cedeño at 727-344-1611 to request a scholarship. 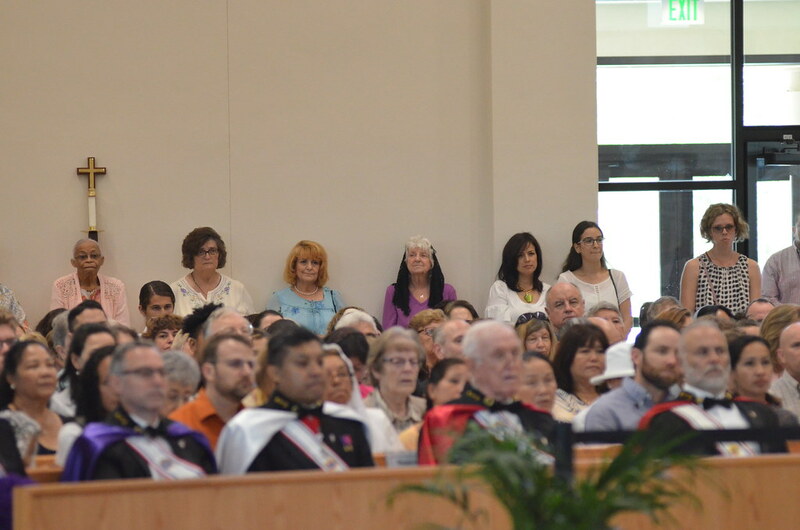 The Mass of Renewal is open to all and registration is not necessary. 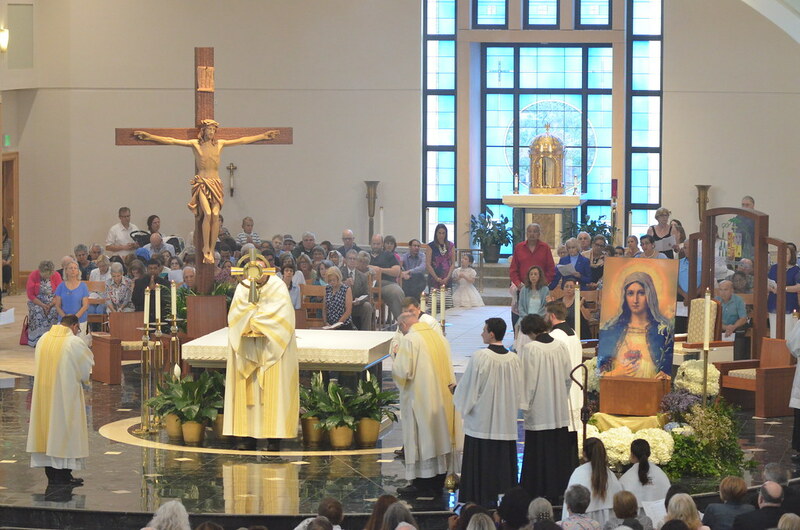 The First Annual Marian Congress is held in cooperation with the International Consecrated Marian Society.